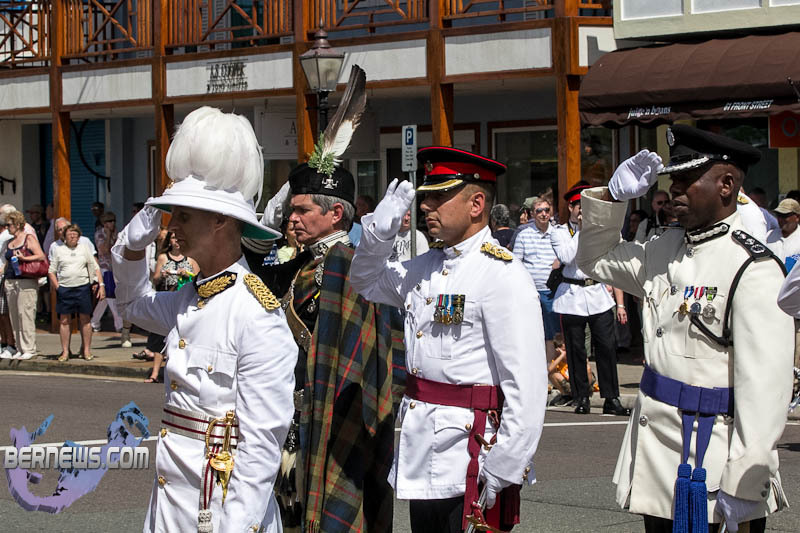 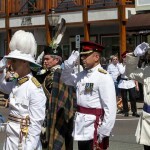 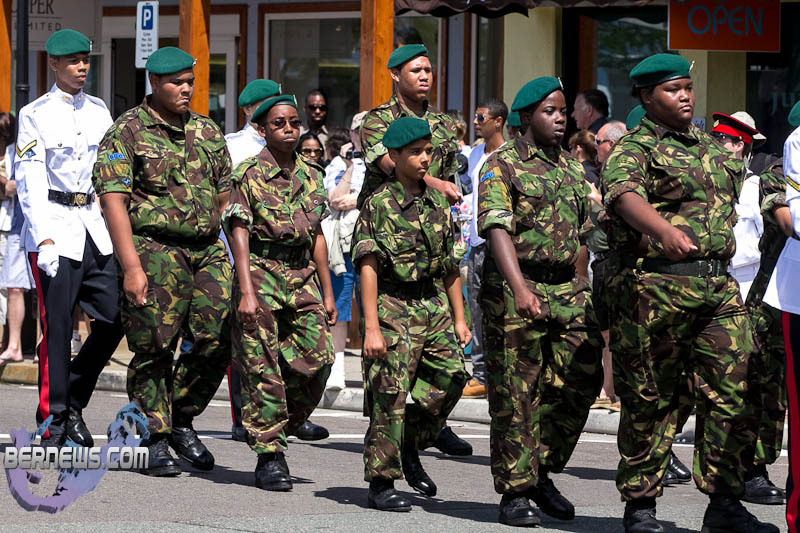 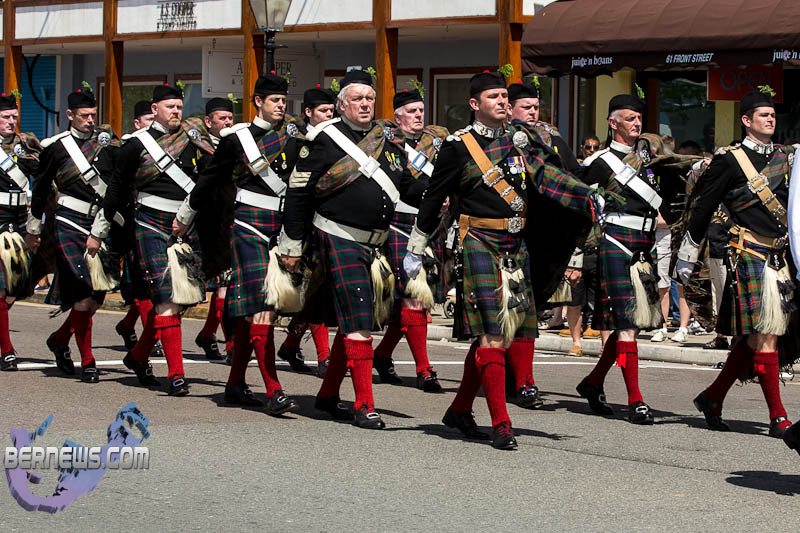 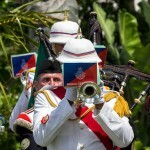 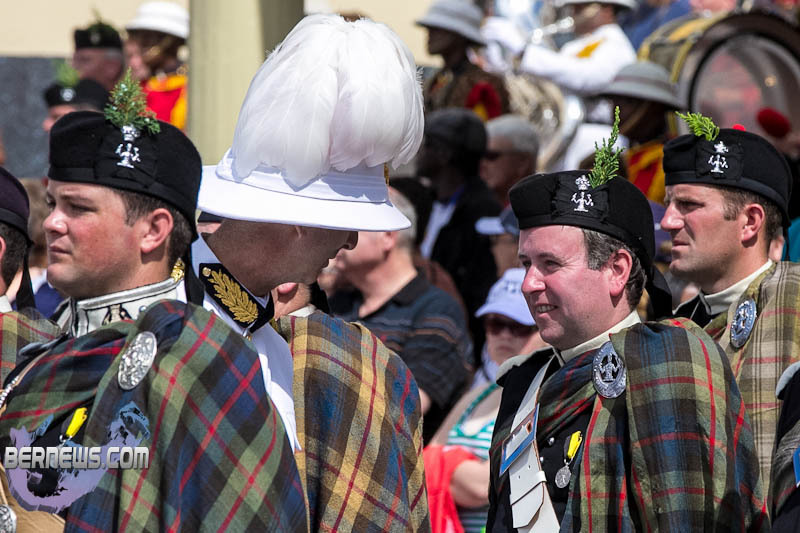 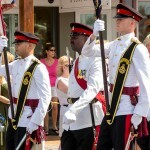 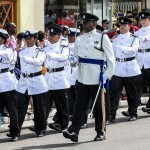 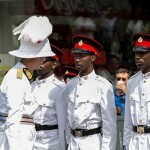 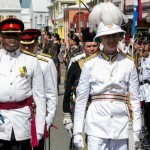 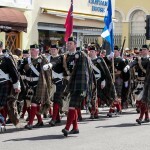 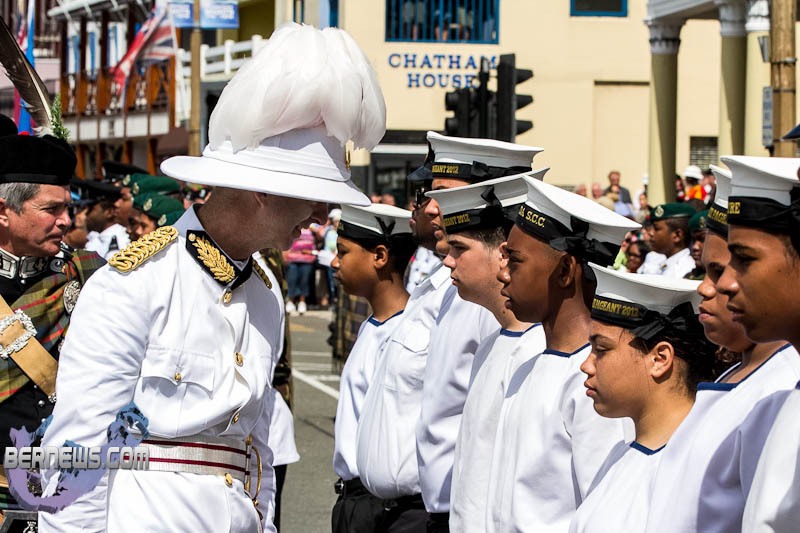 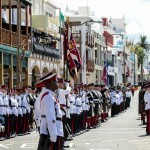 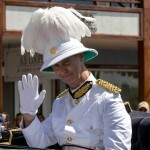 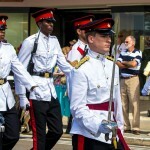 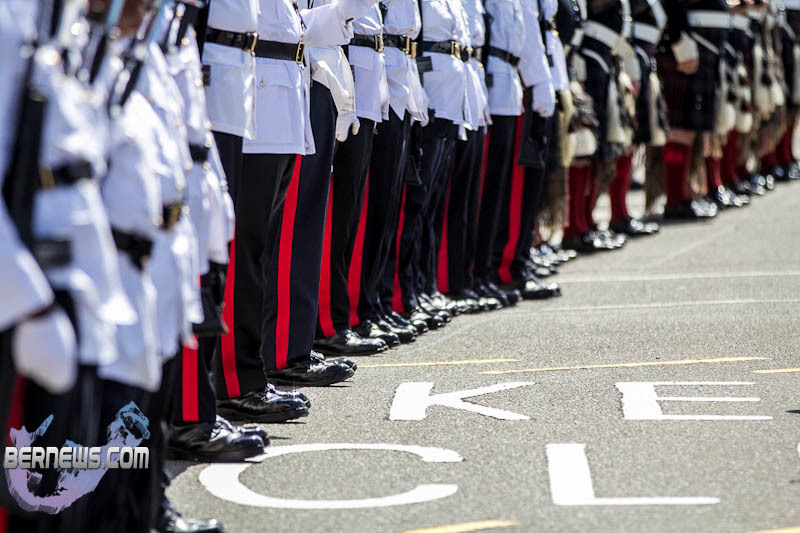 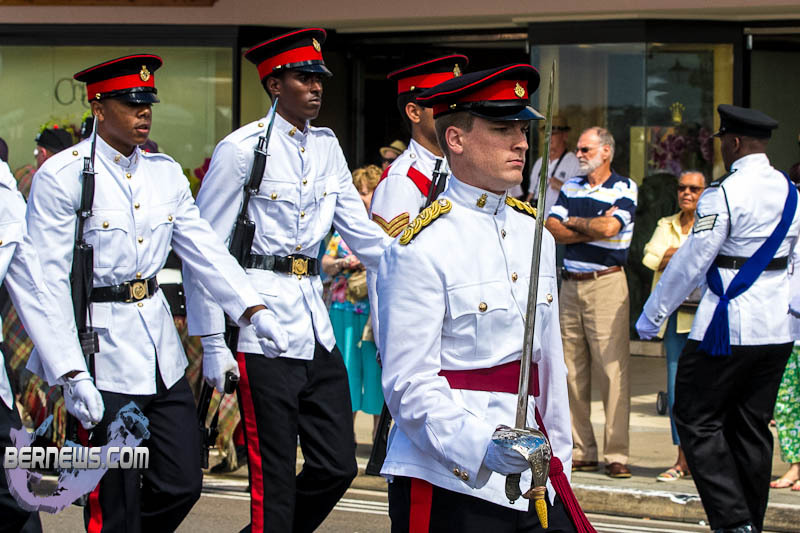 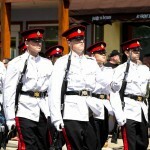 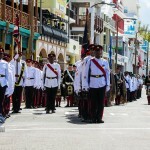 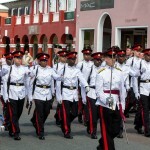 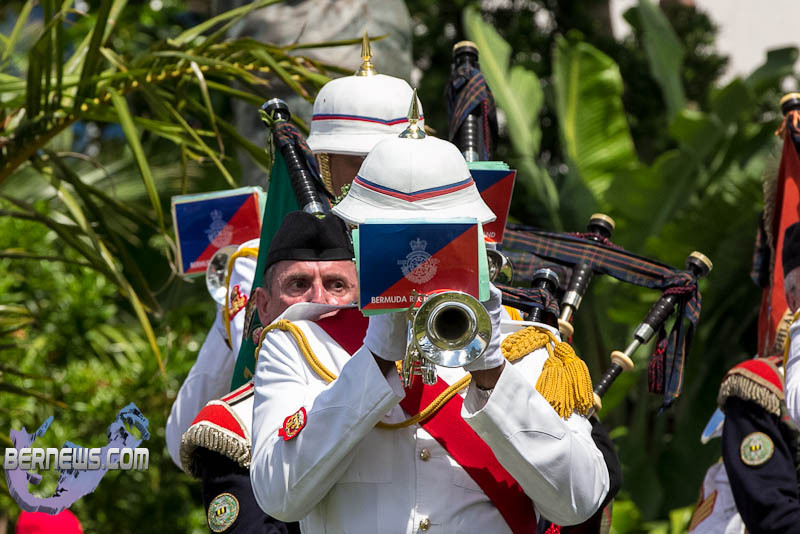 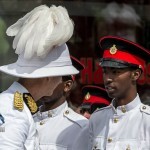 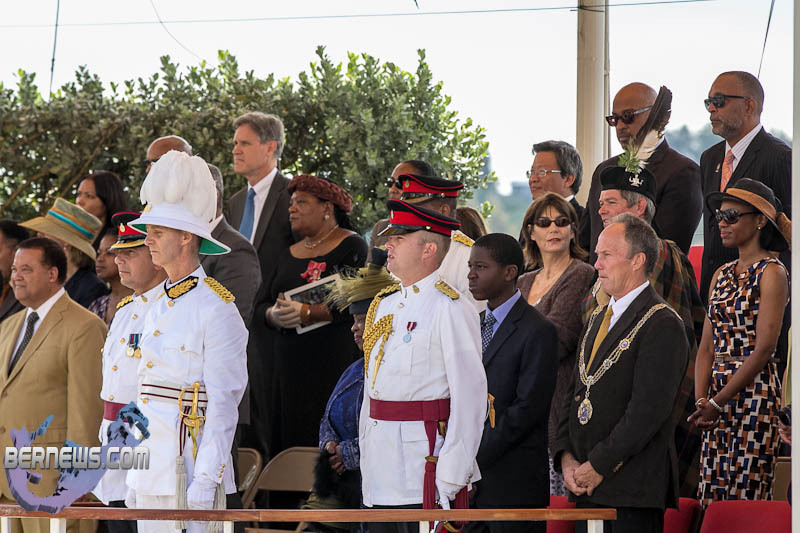 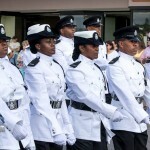 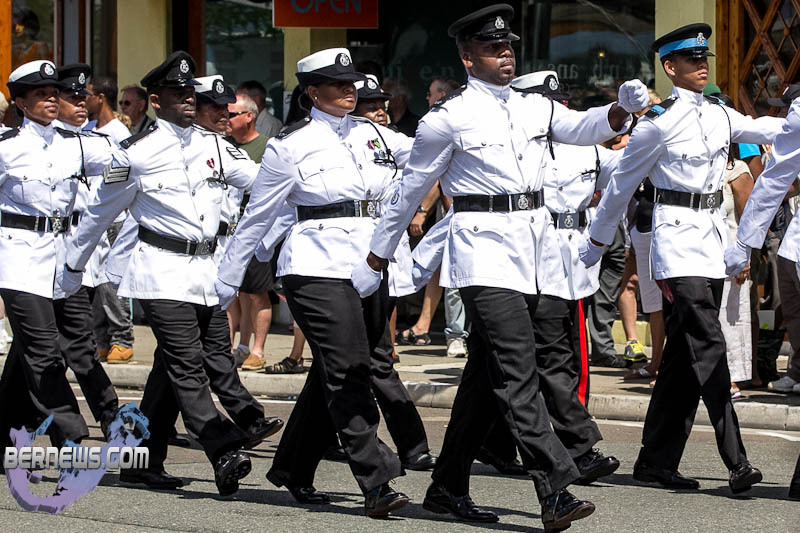 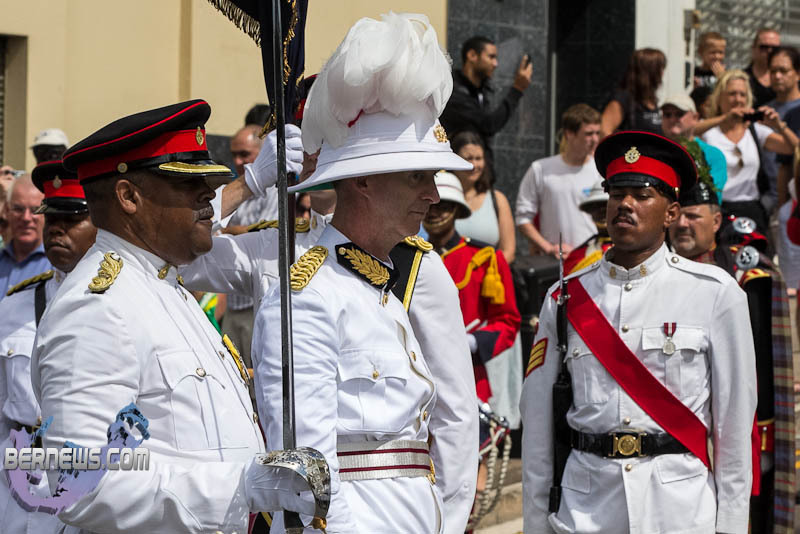 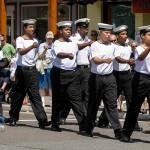 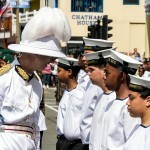 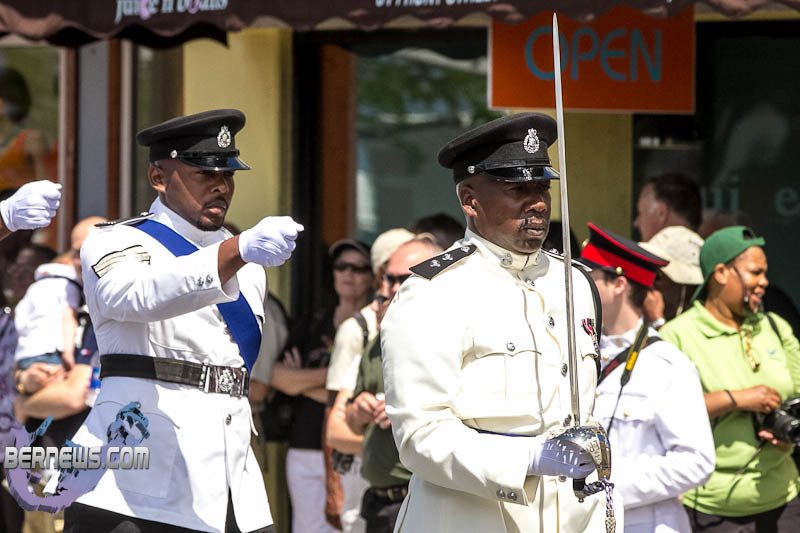 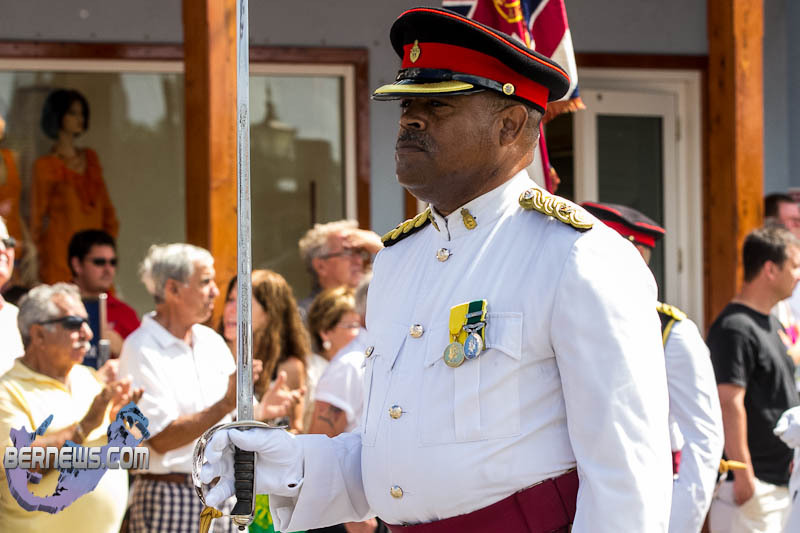 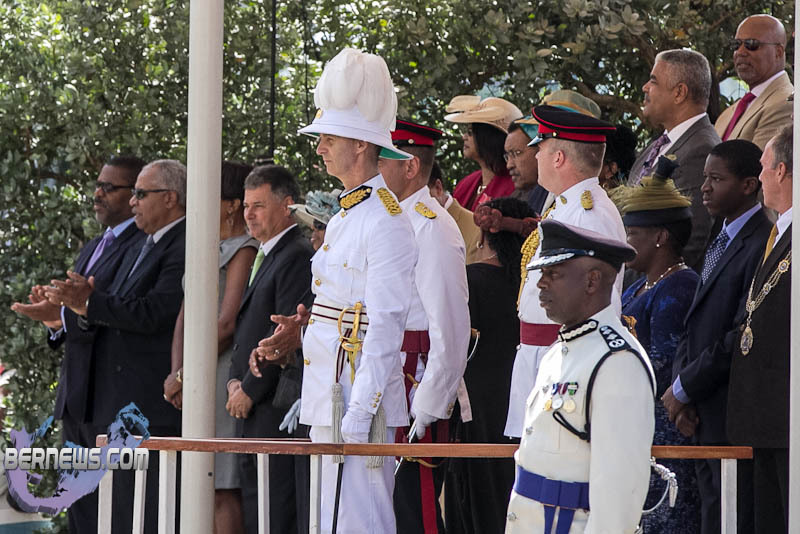 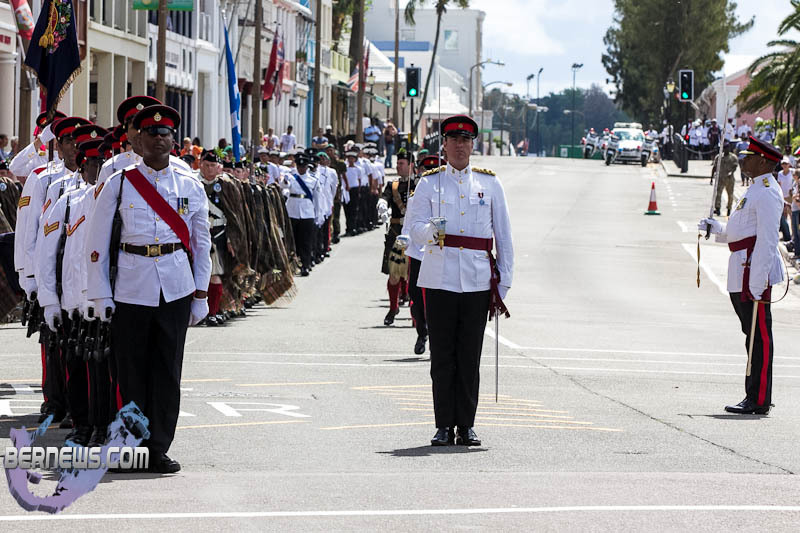 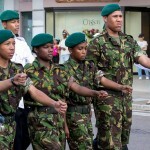 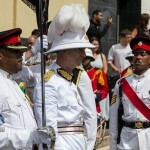 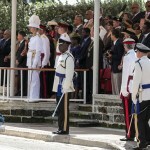 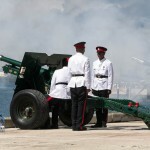 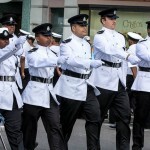 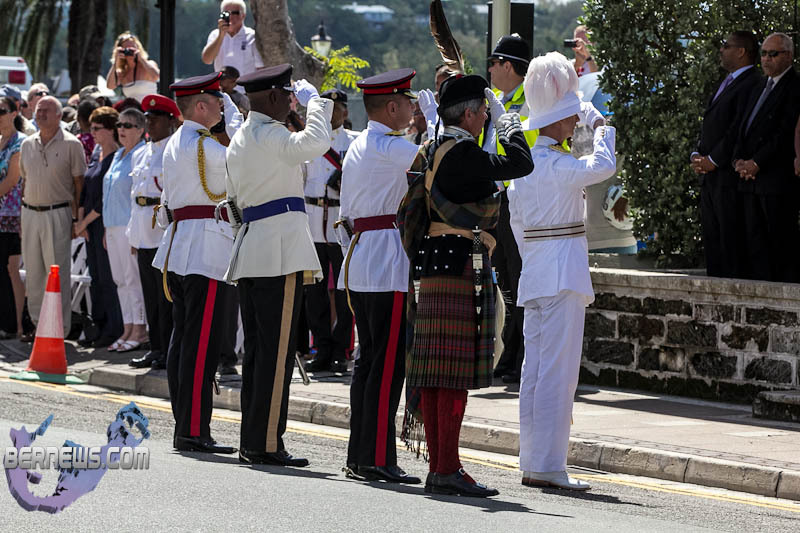 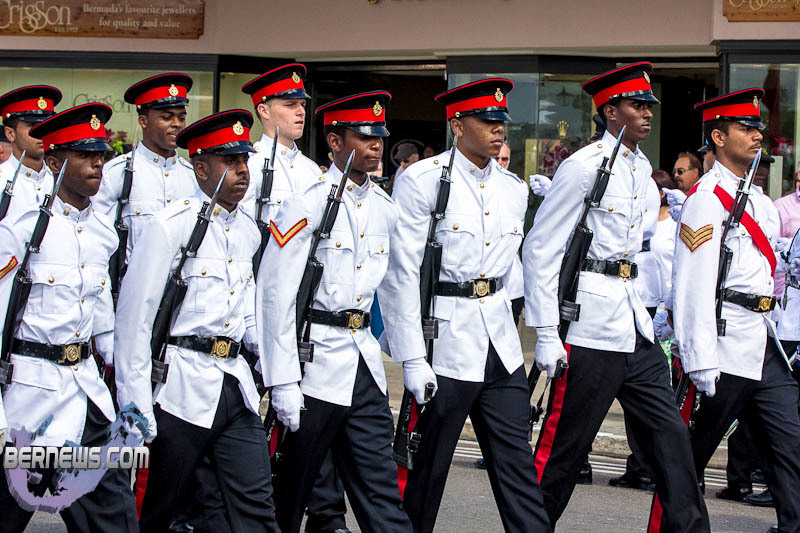 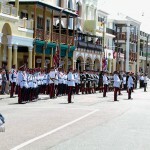 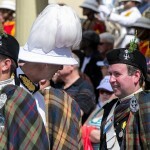 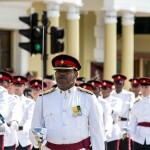 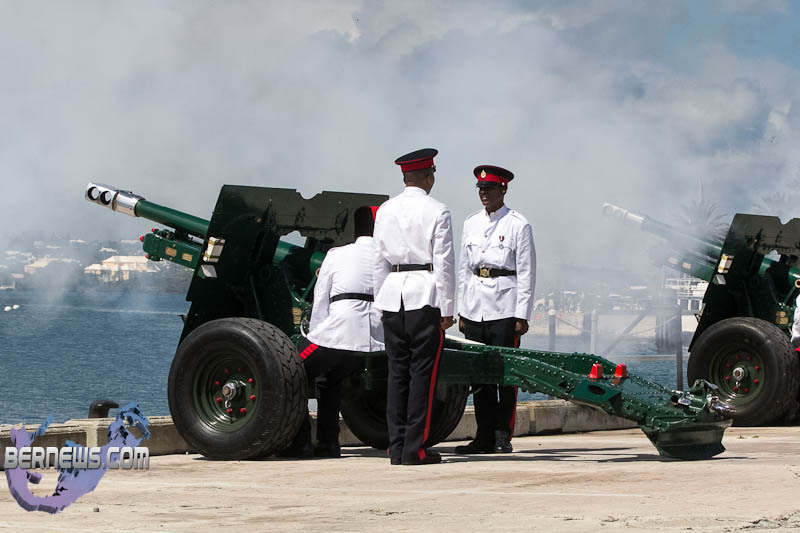 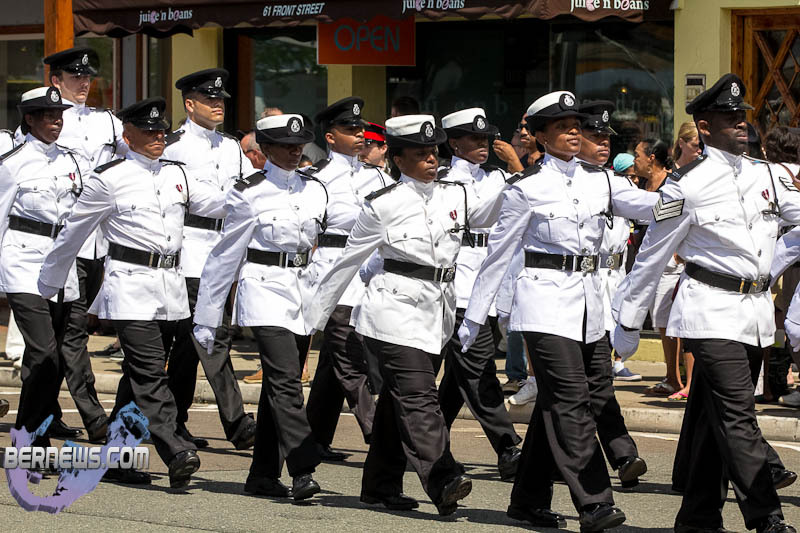 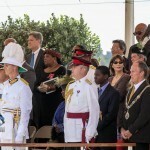 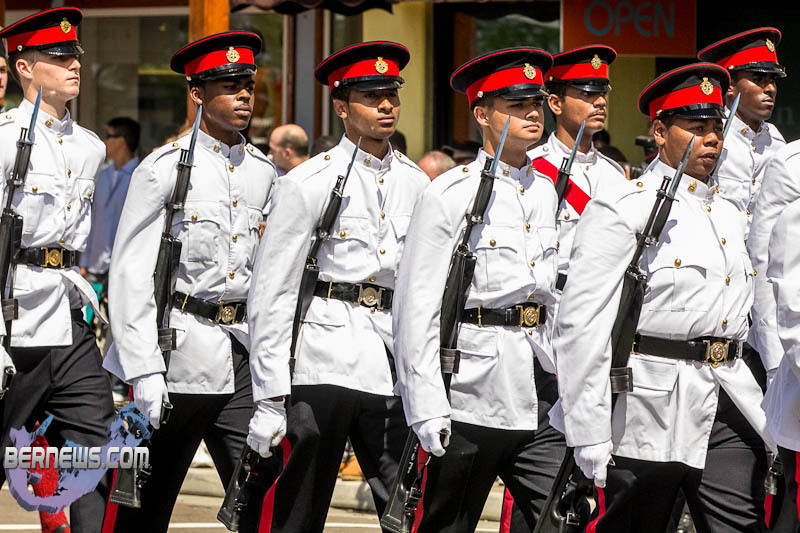 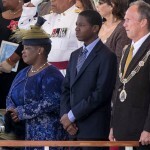 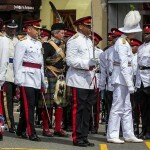 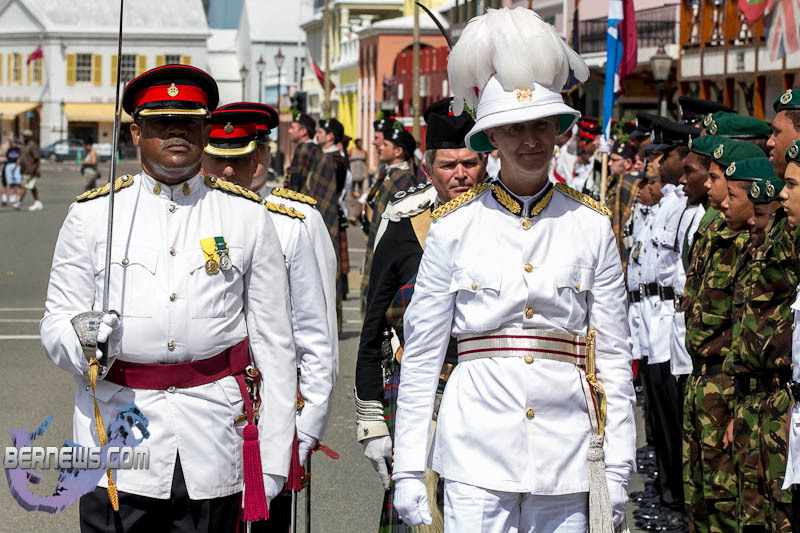 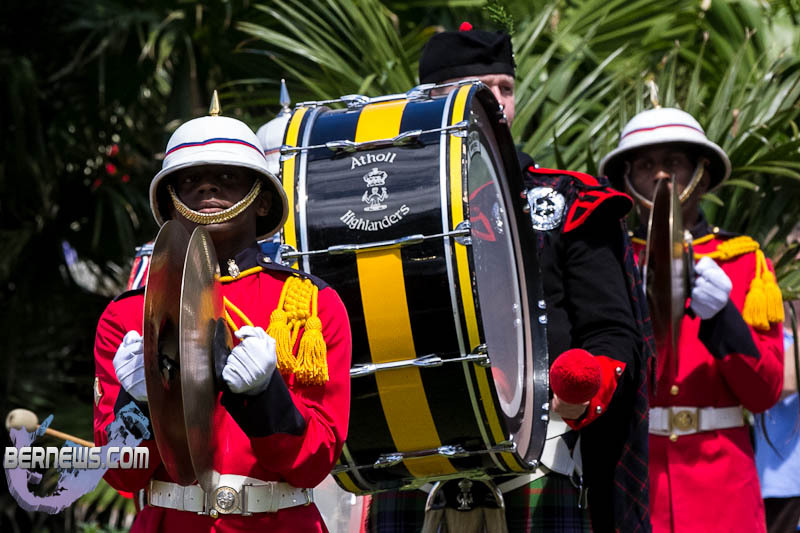 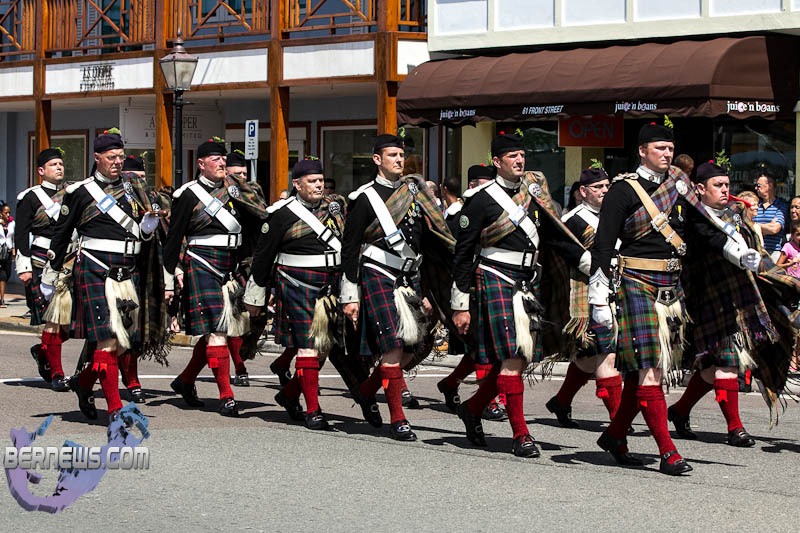 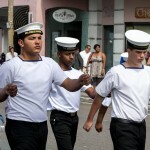 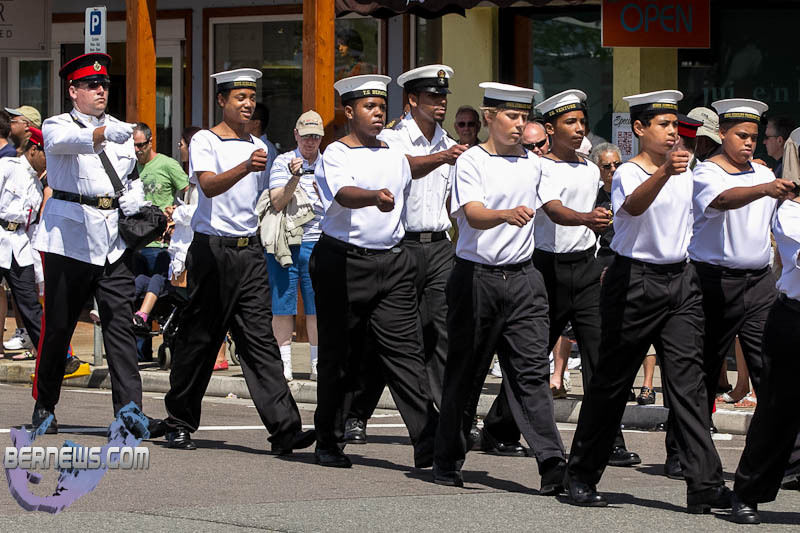 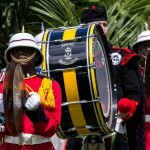 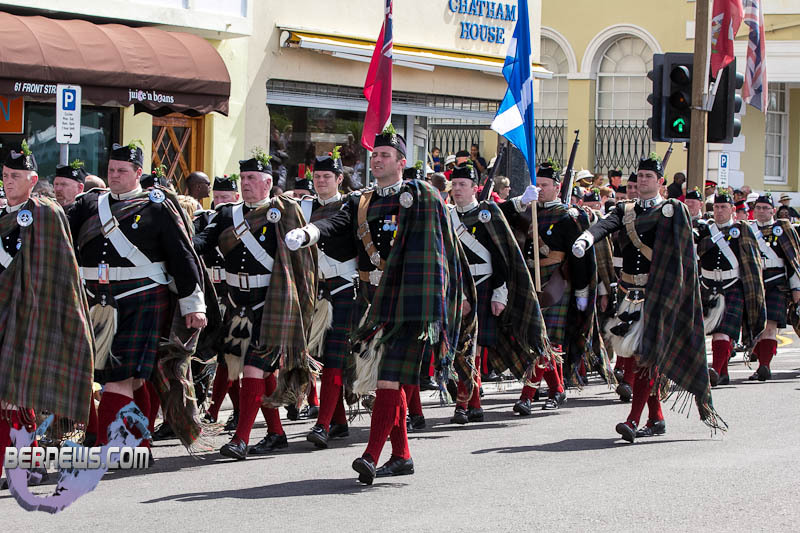 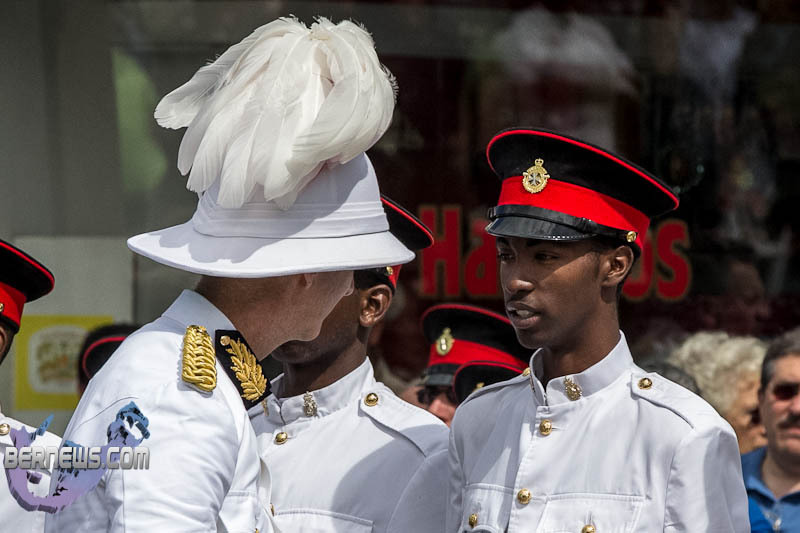 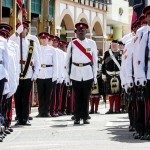 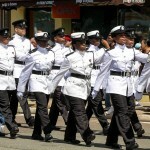 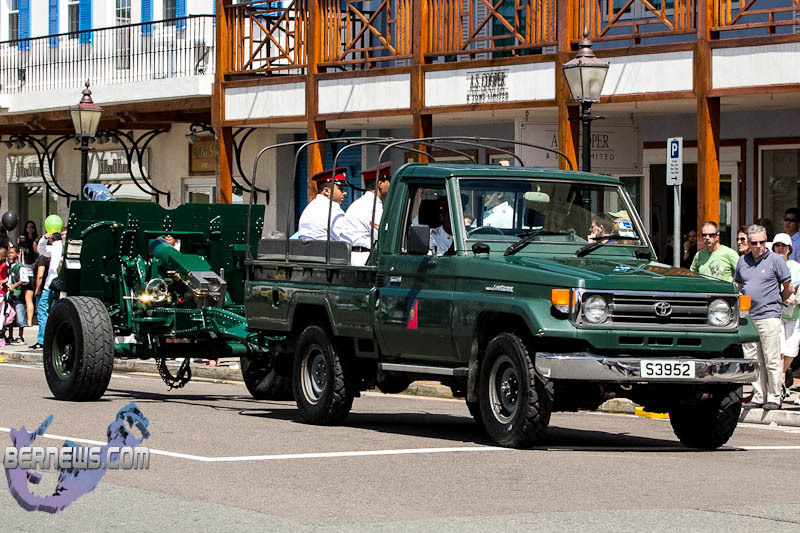 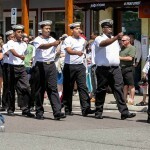 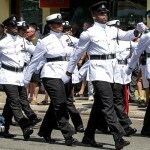 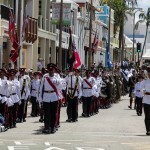 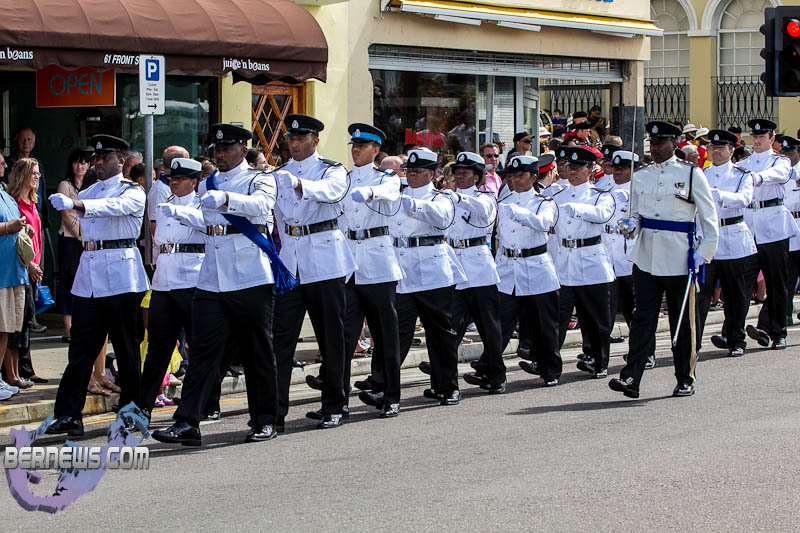 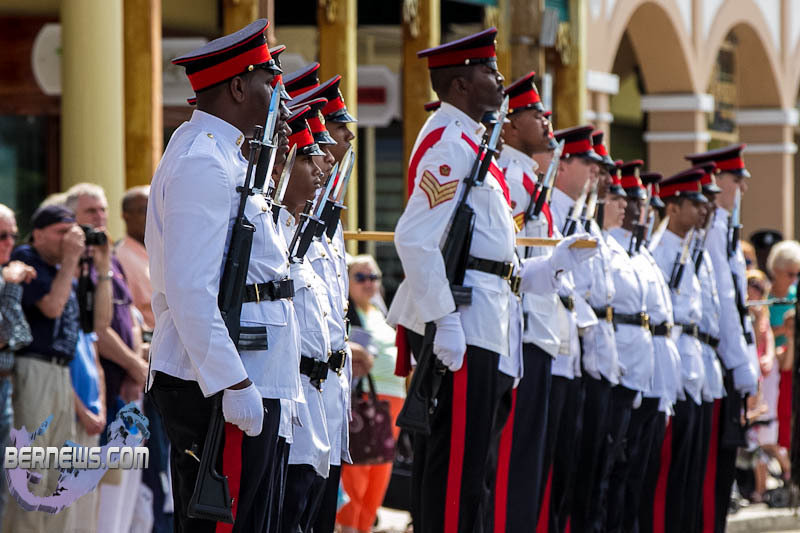 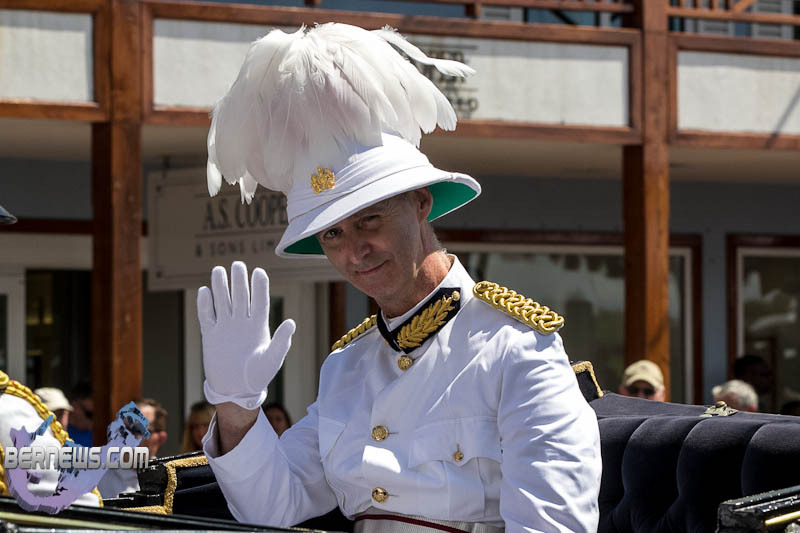 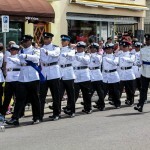 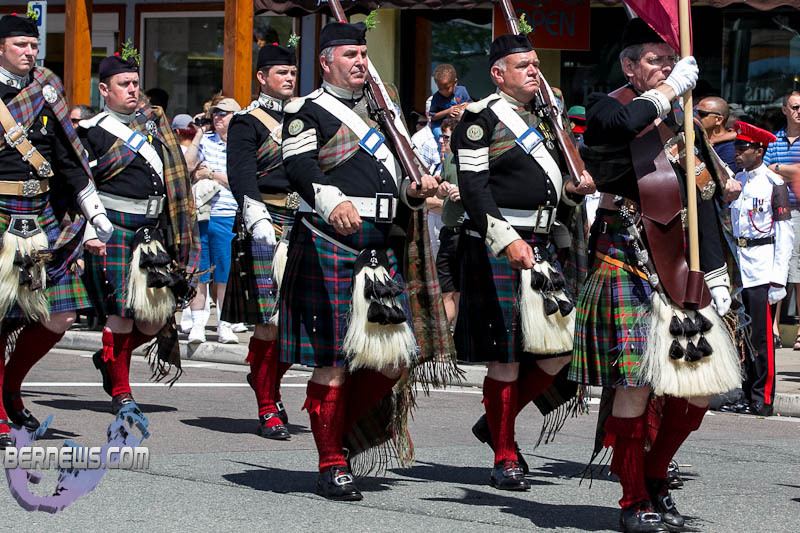 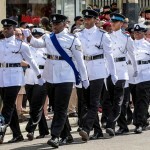 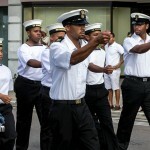 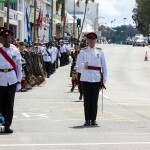 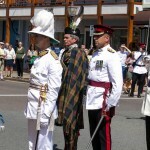 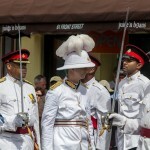 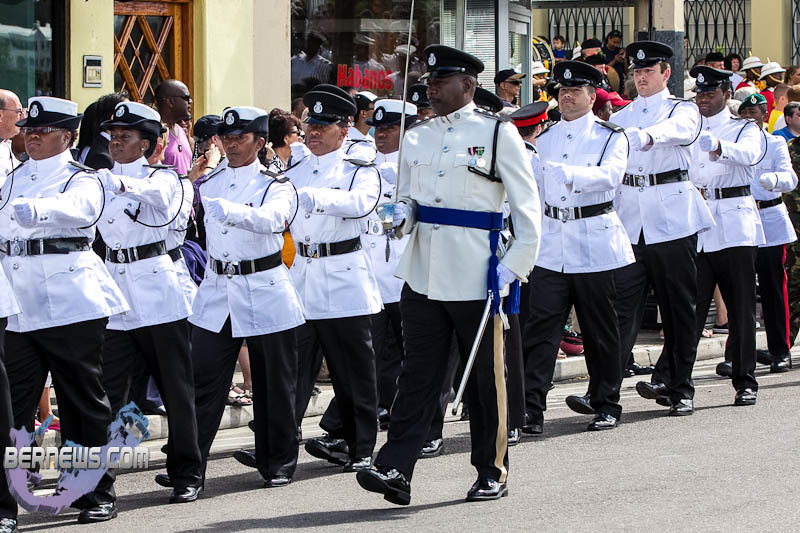 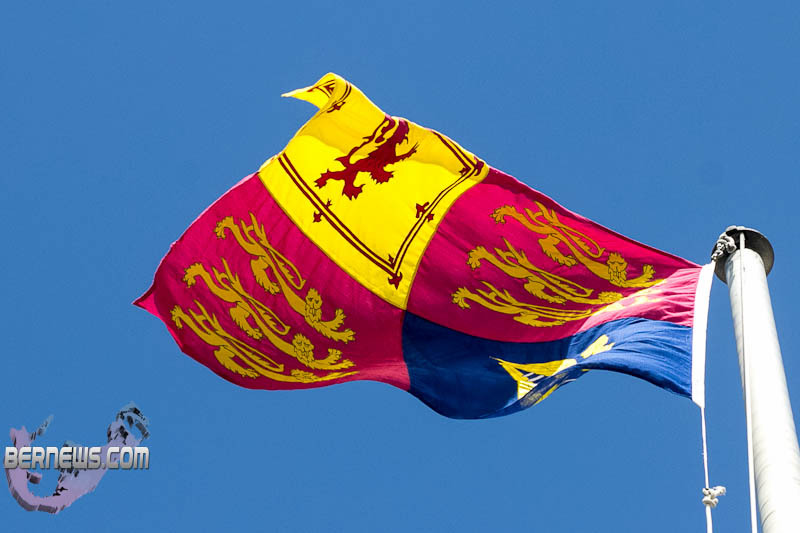 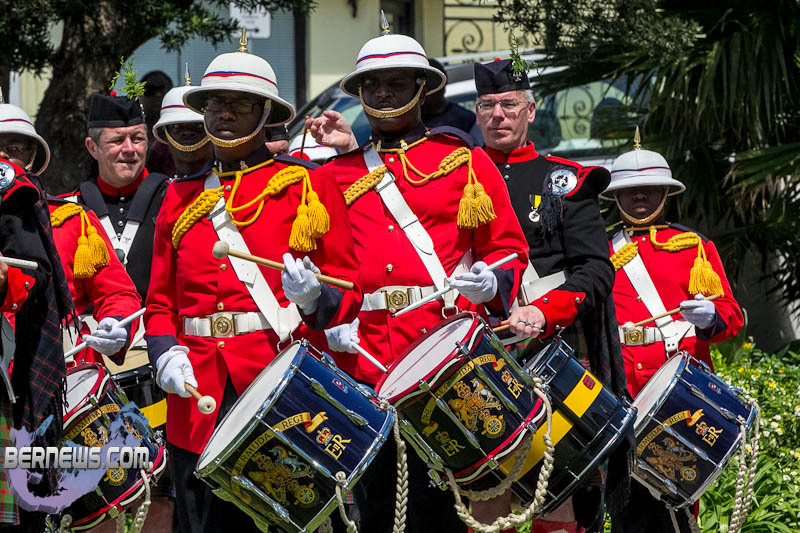 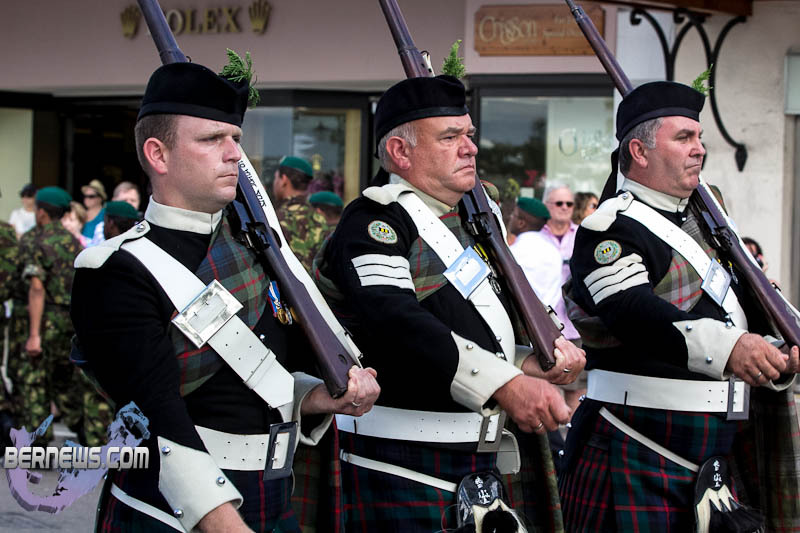 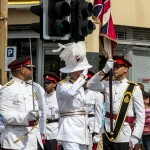 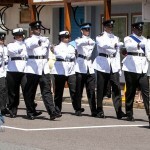 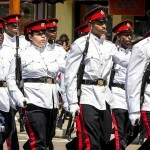 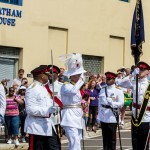 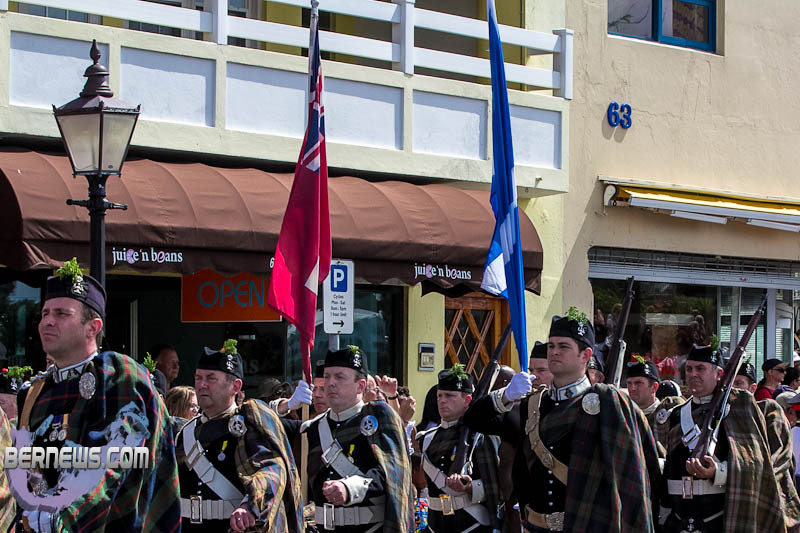 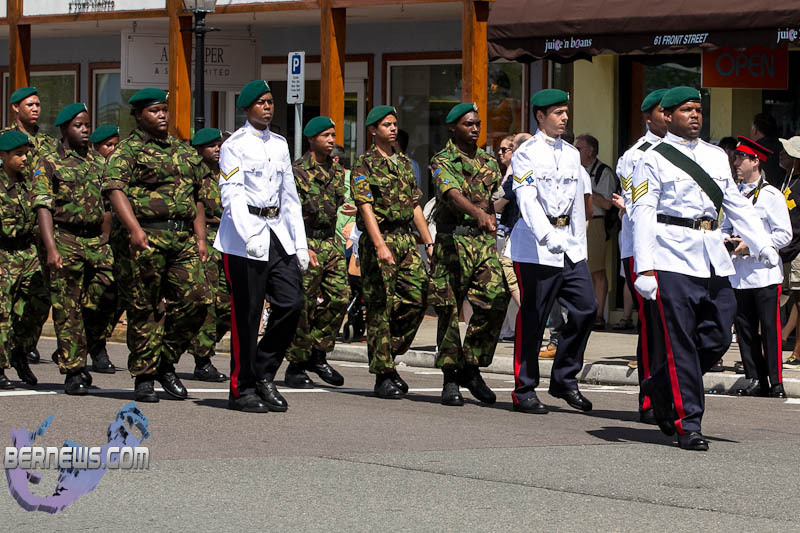 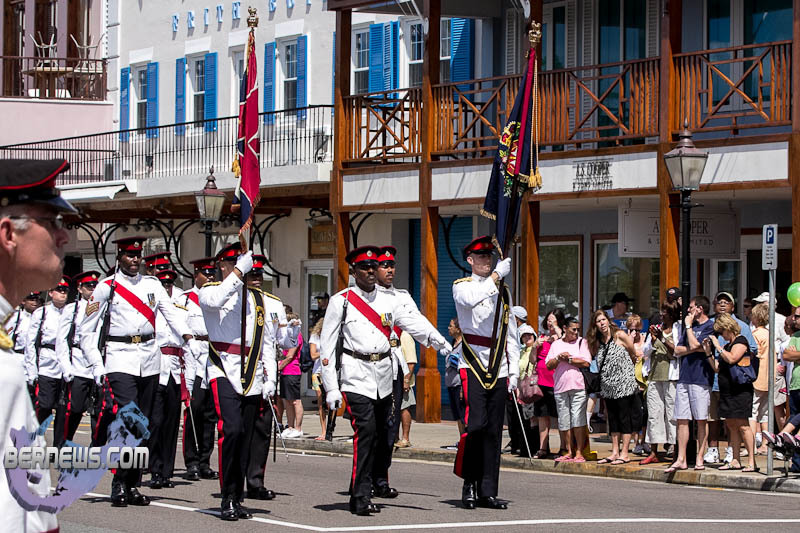 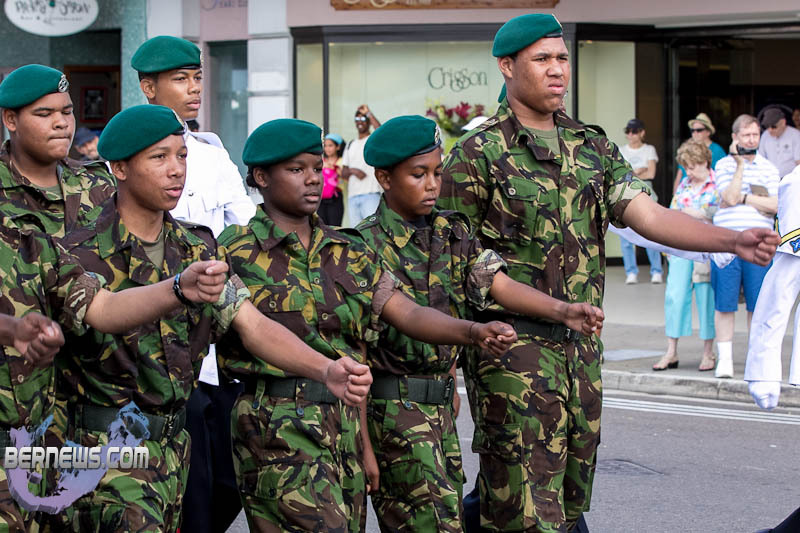 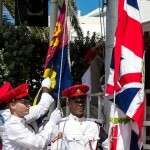 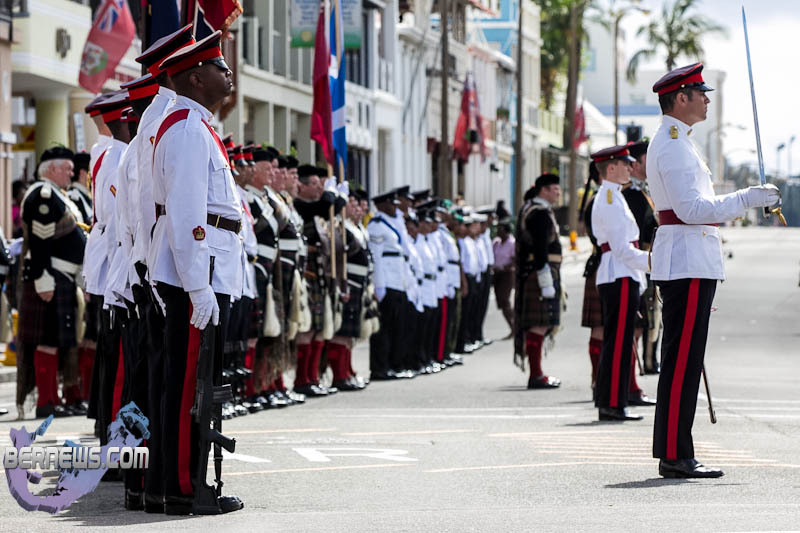 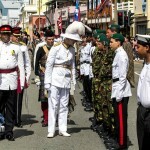 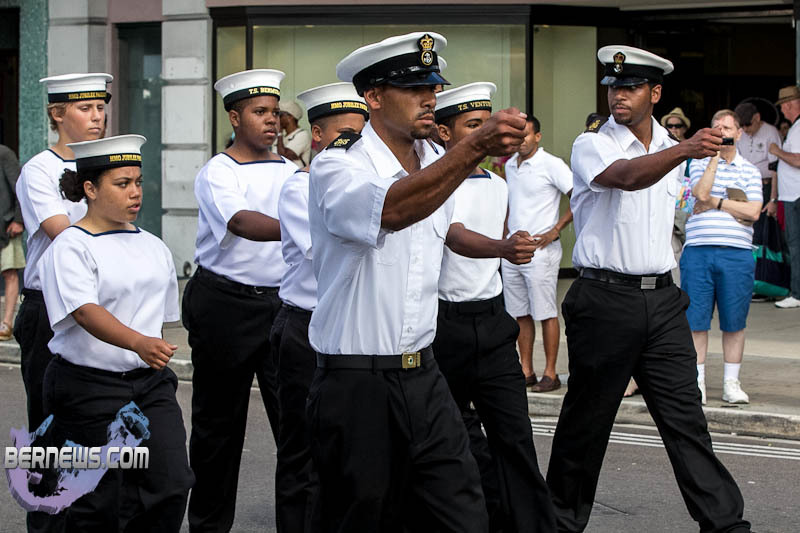 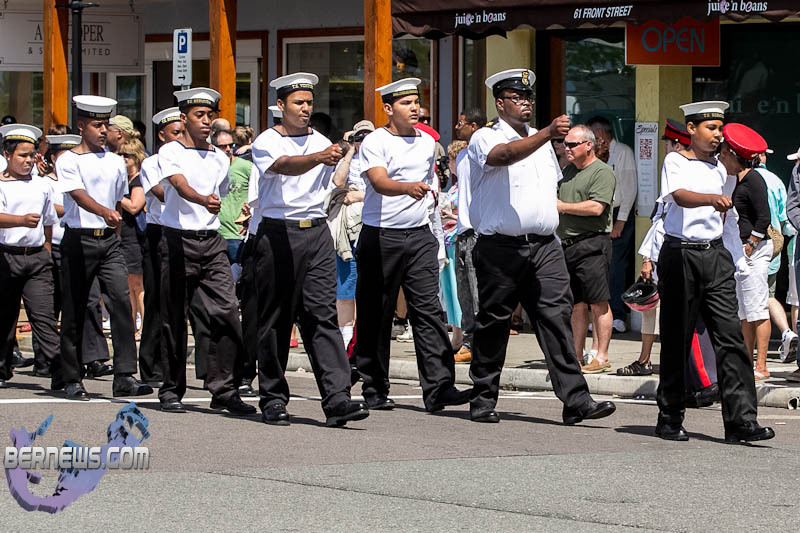 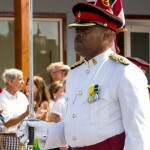 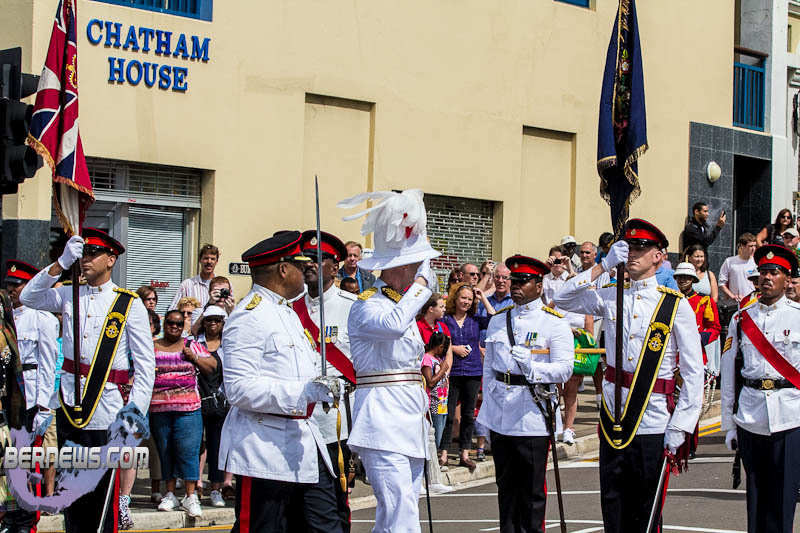 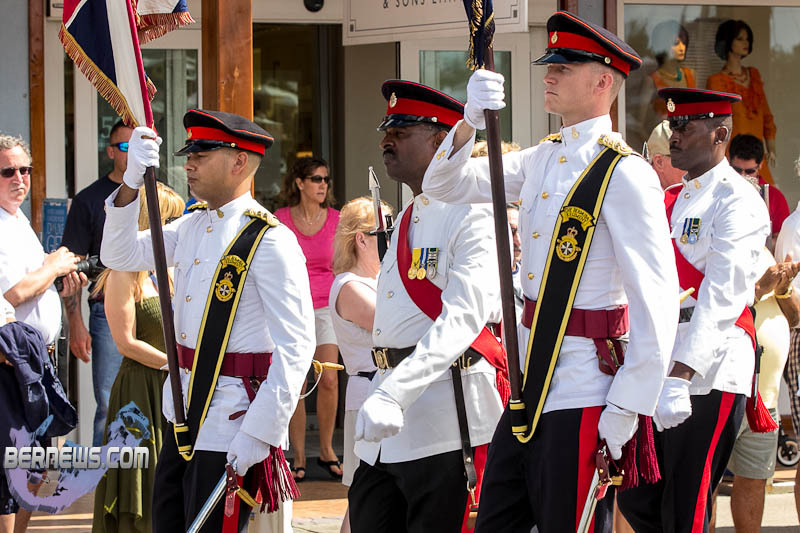 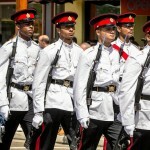 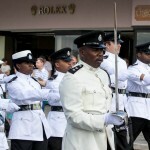 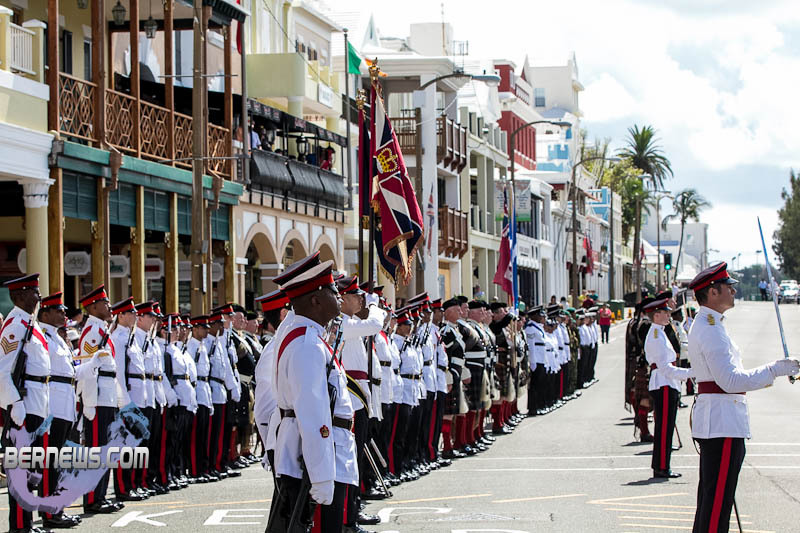 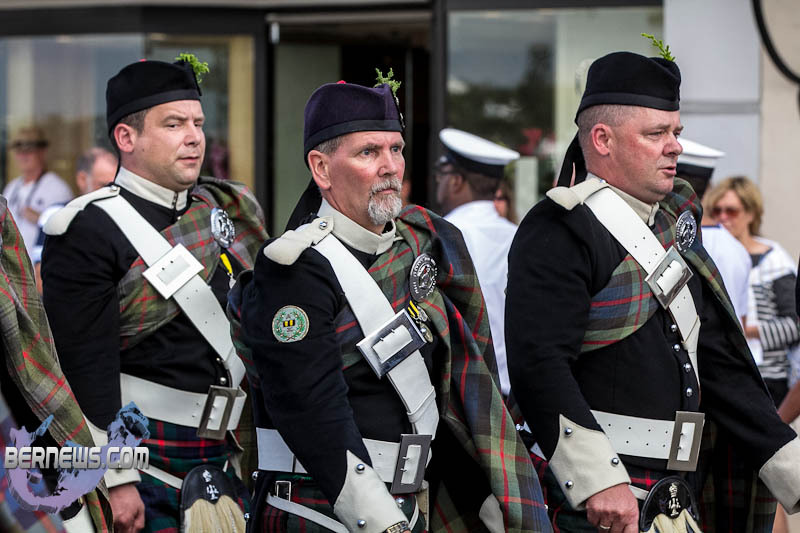 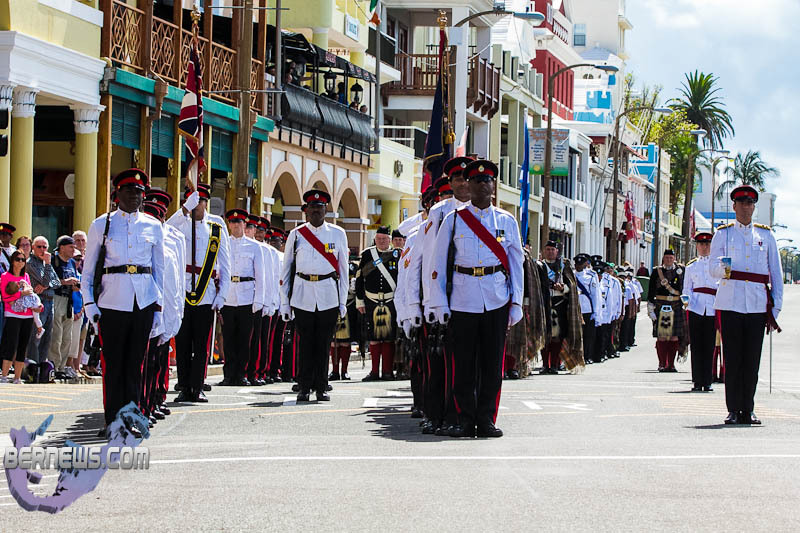 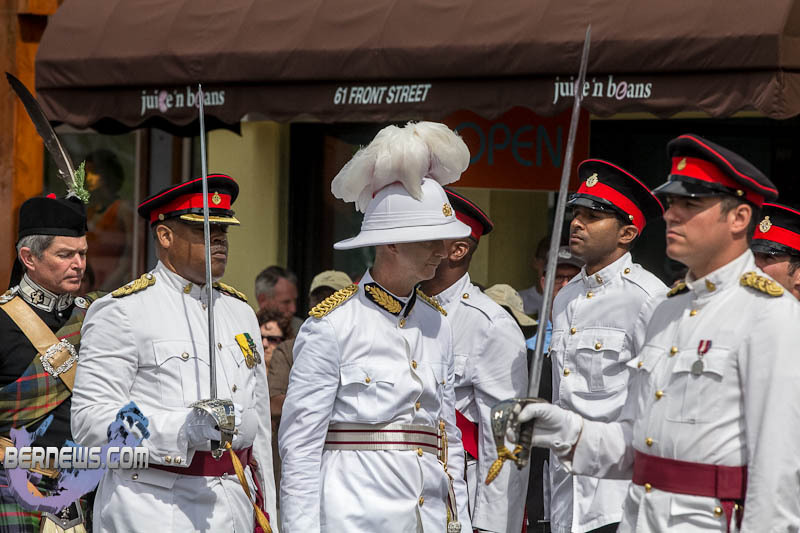 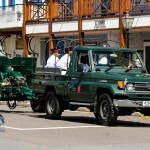 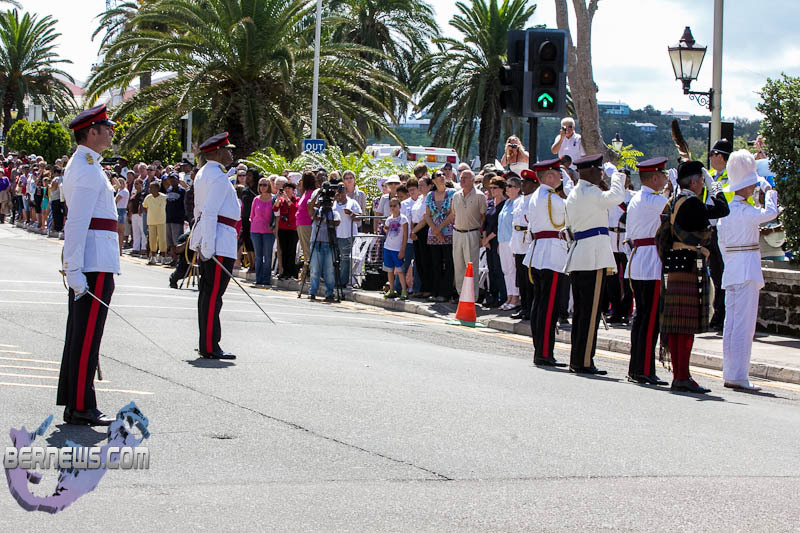 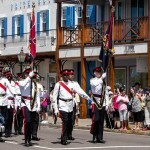 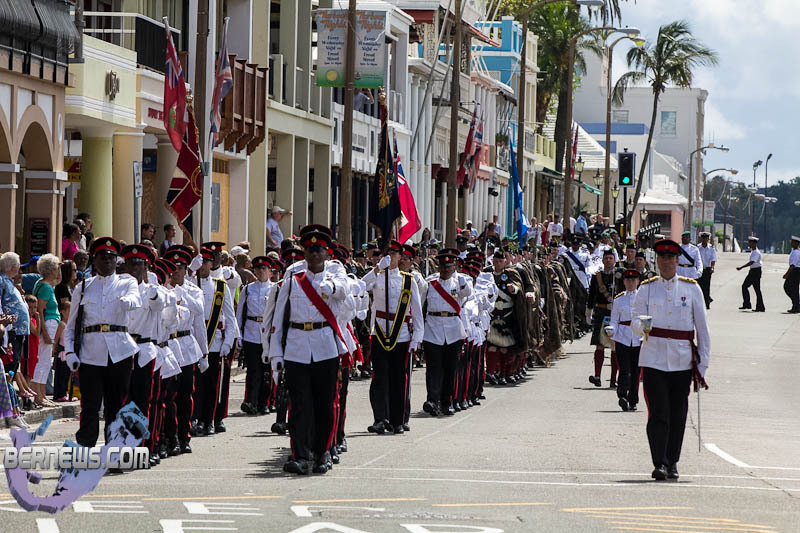 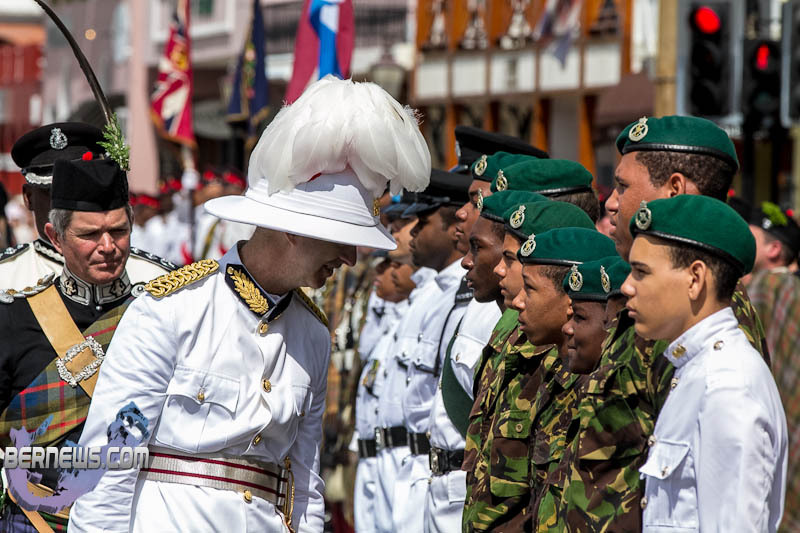 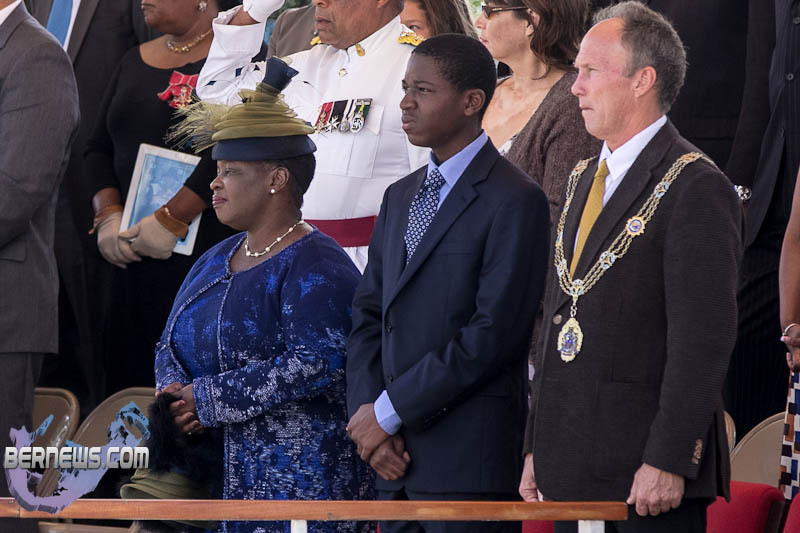 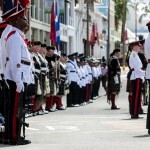 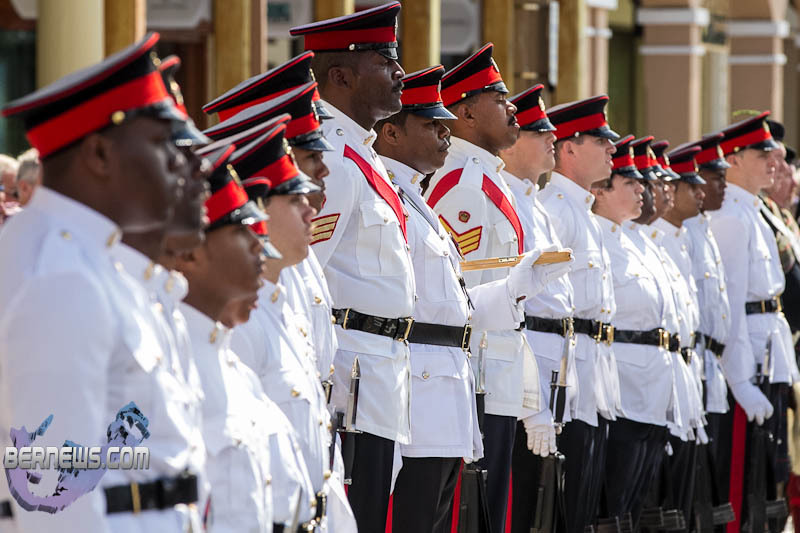 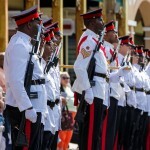 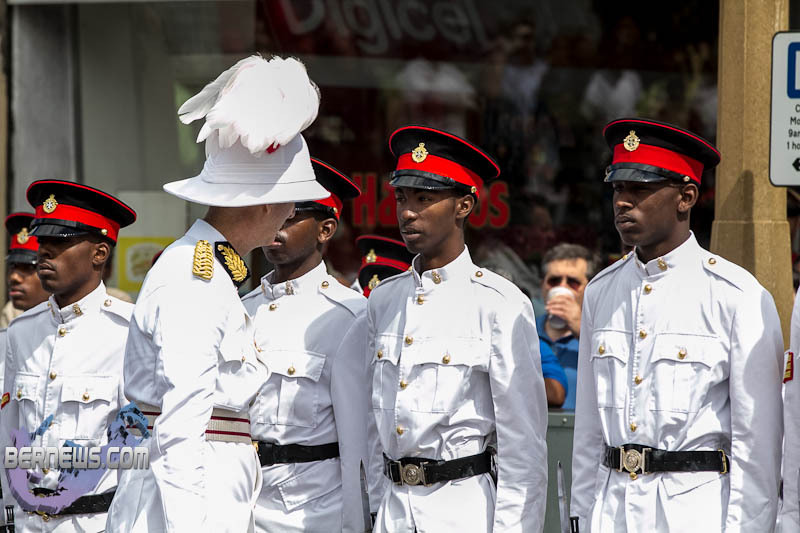 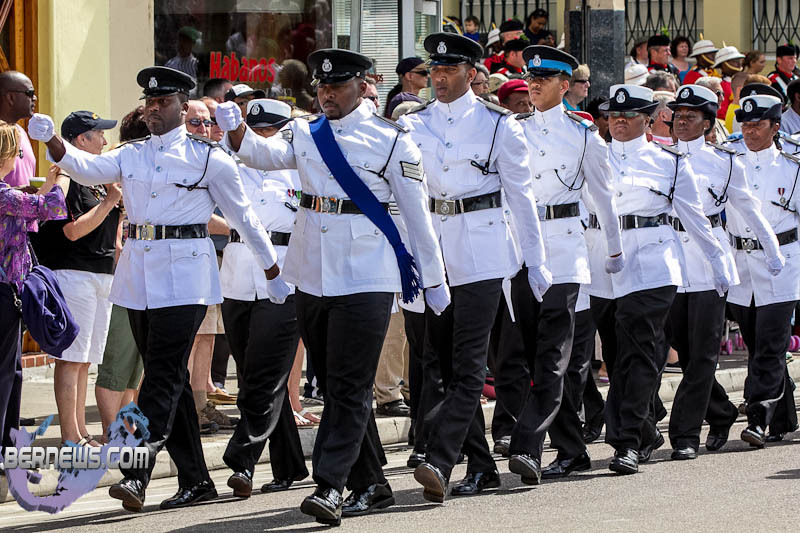 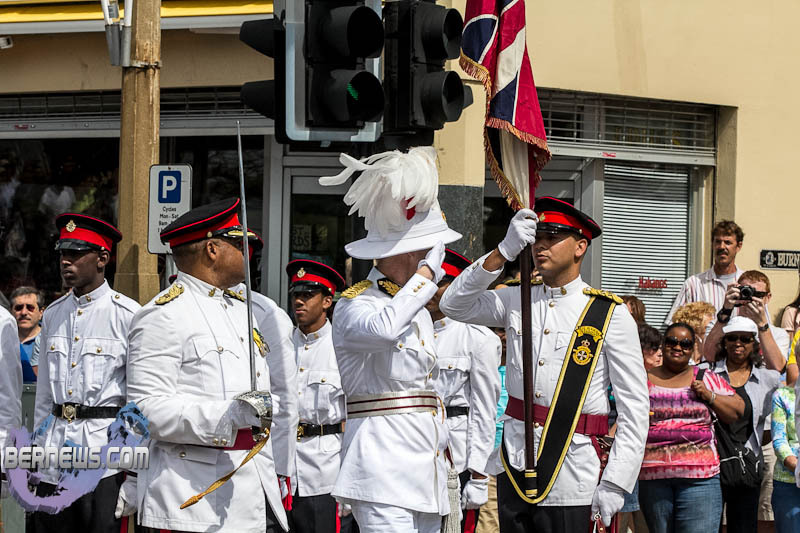 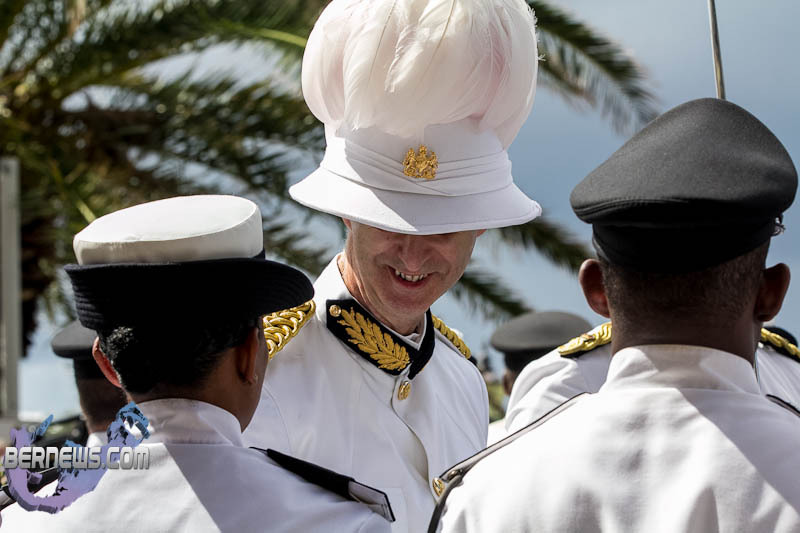 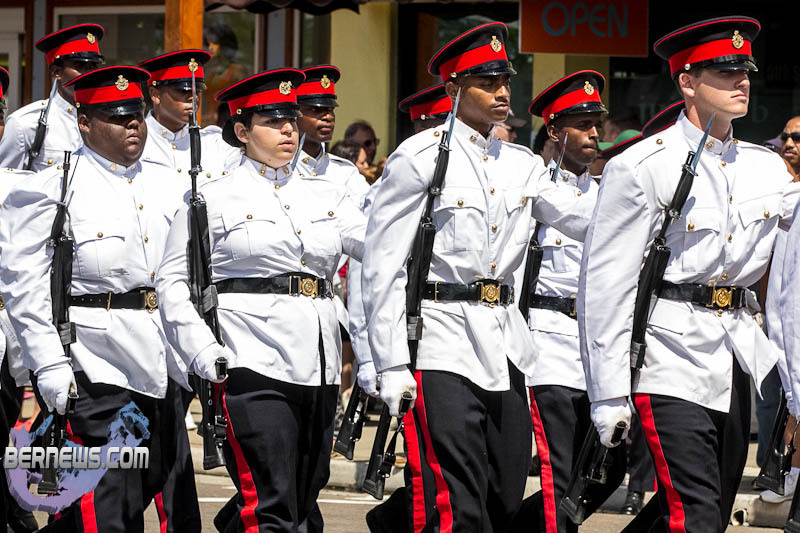 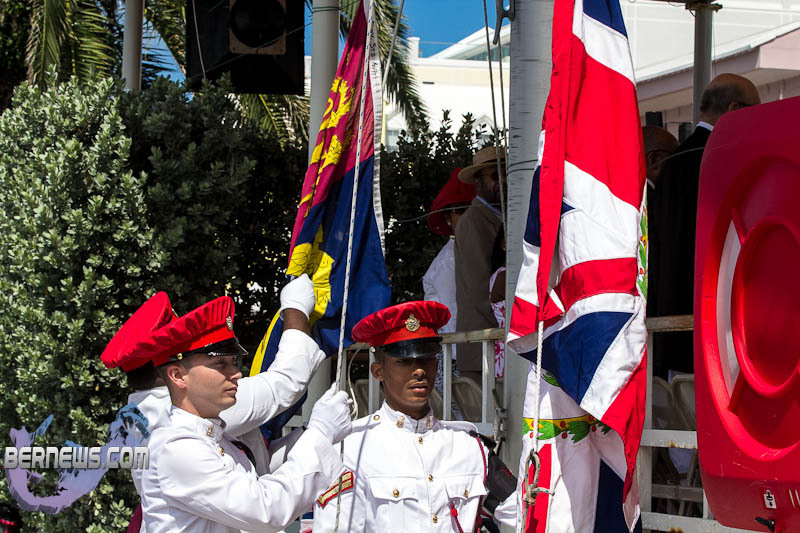 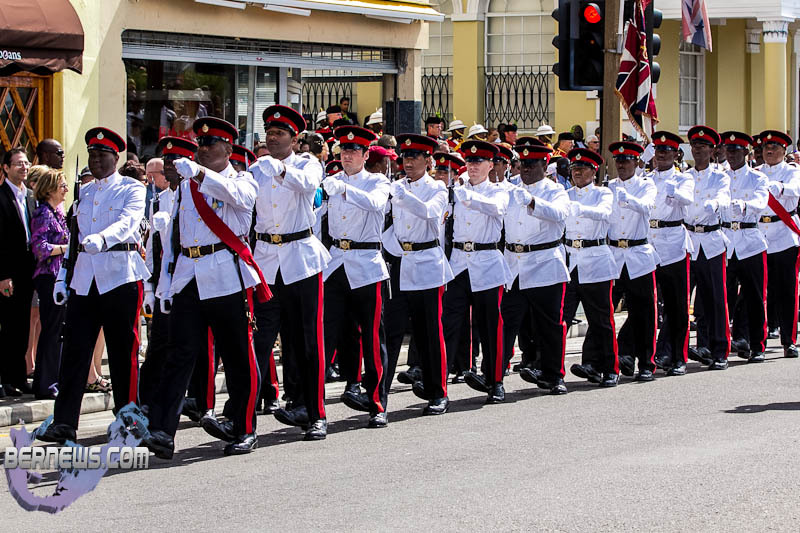 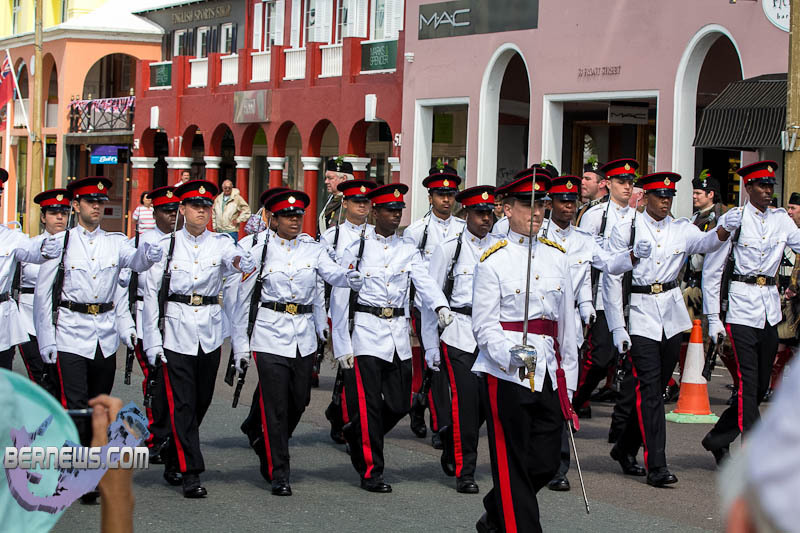 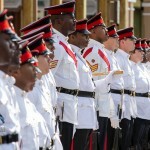 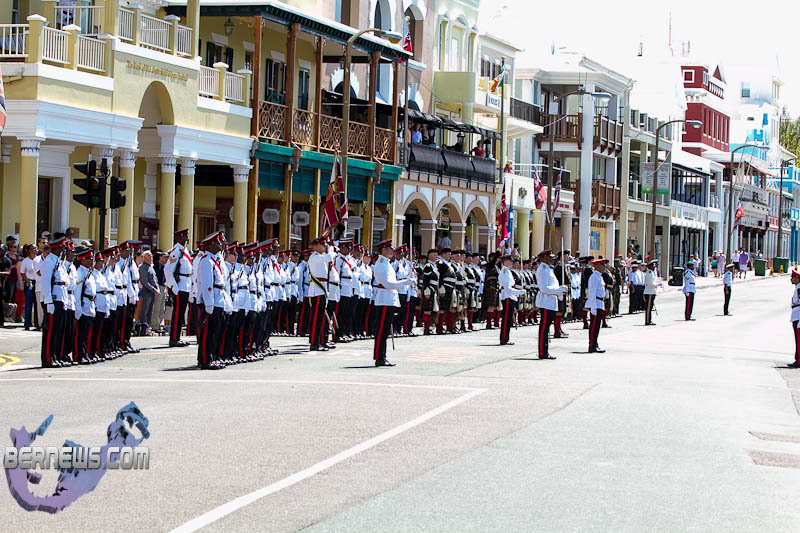 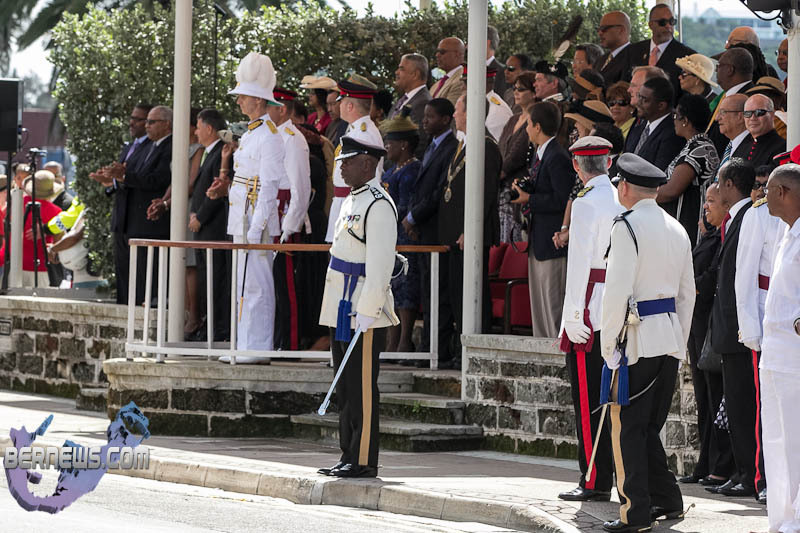 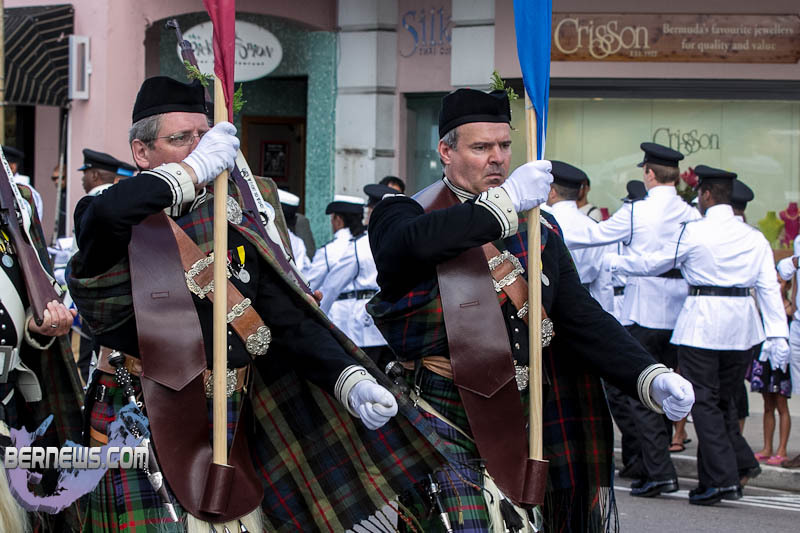 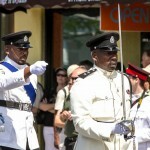 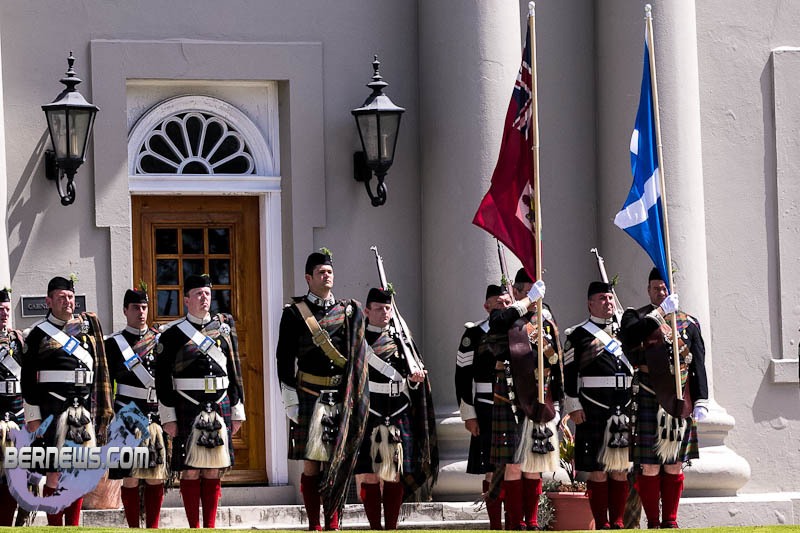 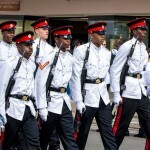 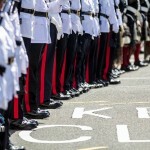 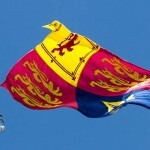 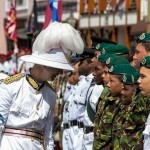 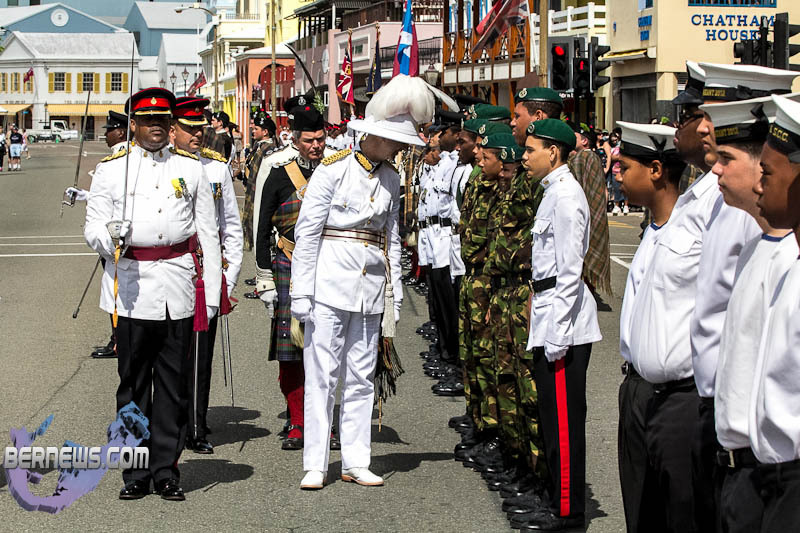 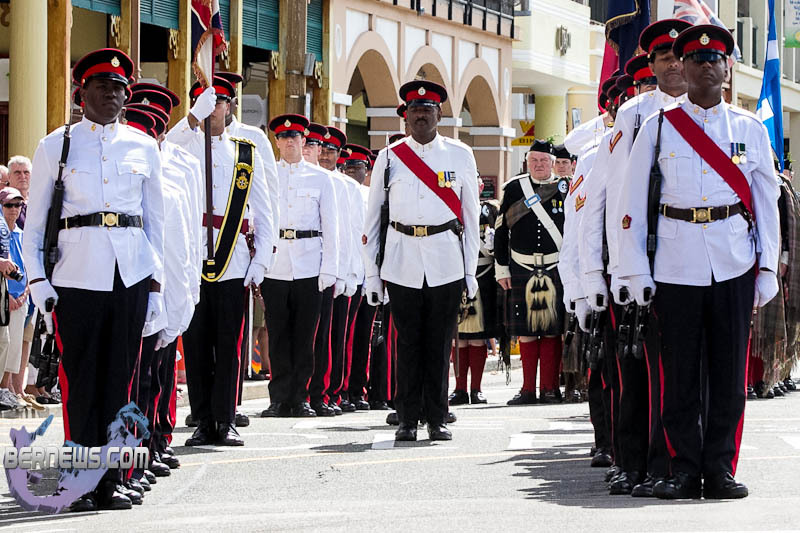 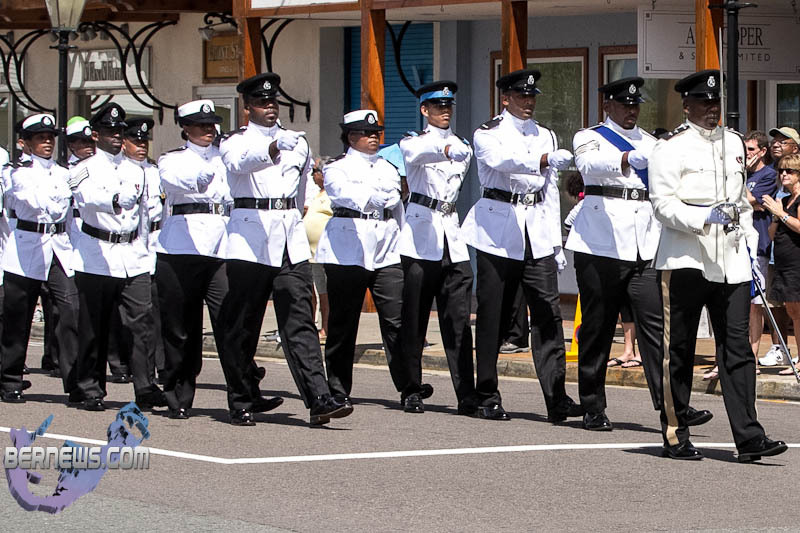 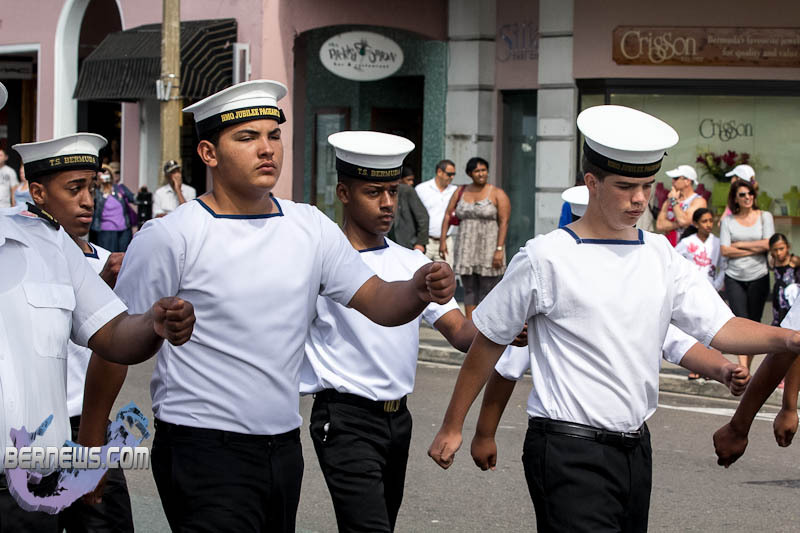 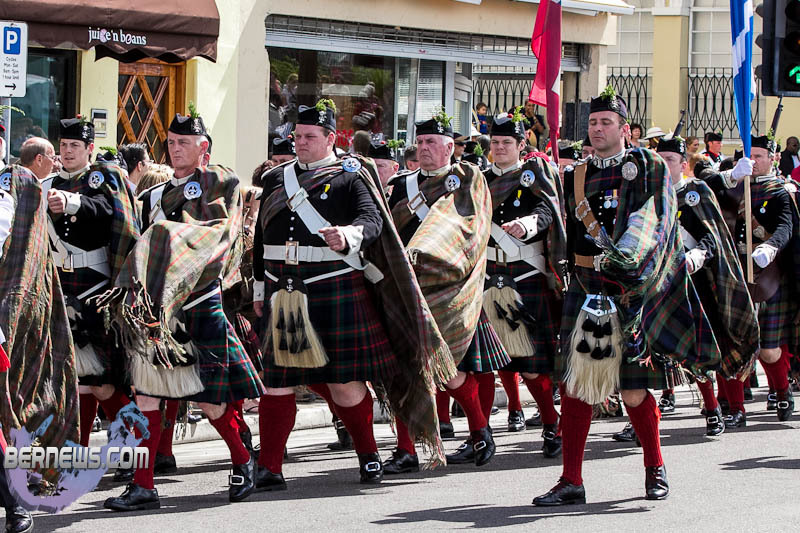 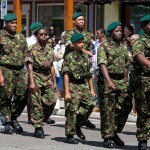 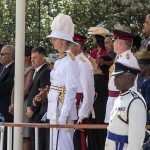 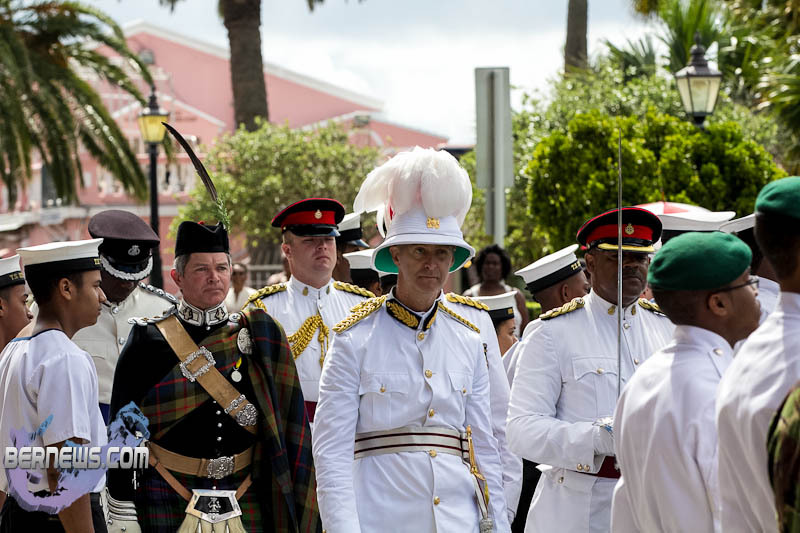 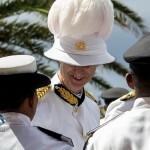 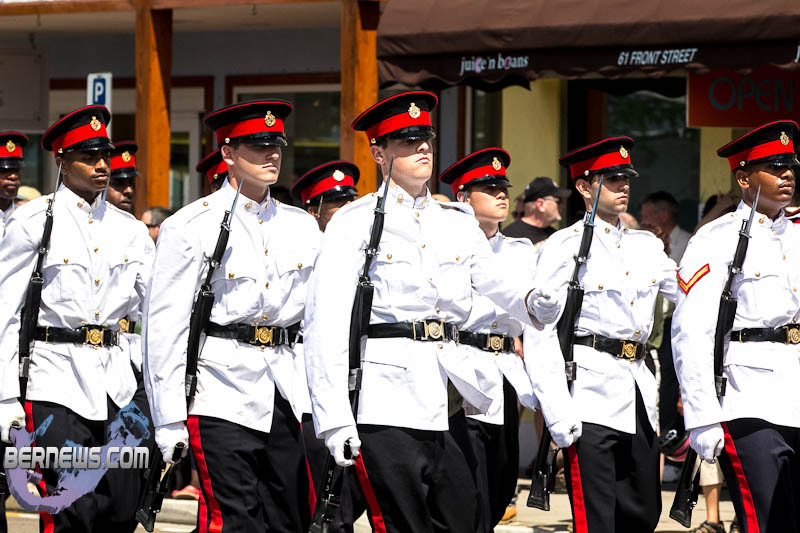 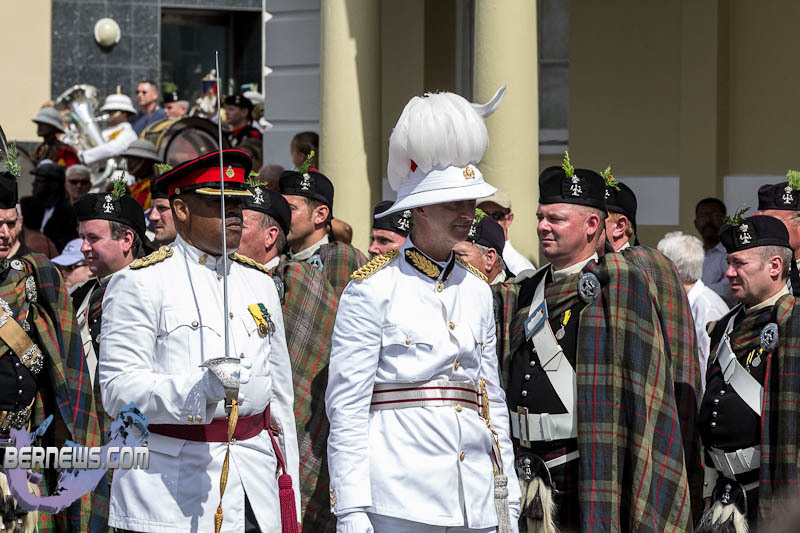 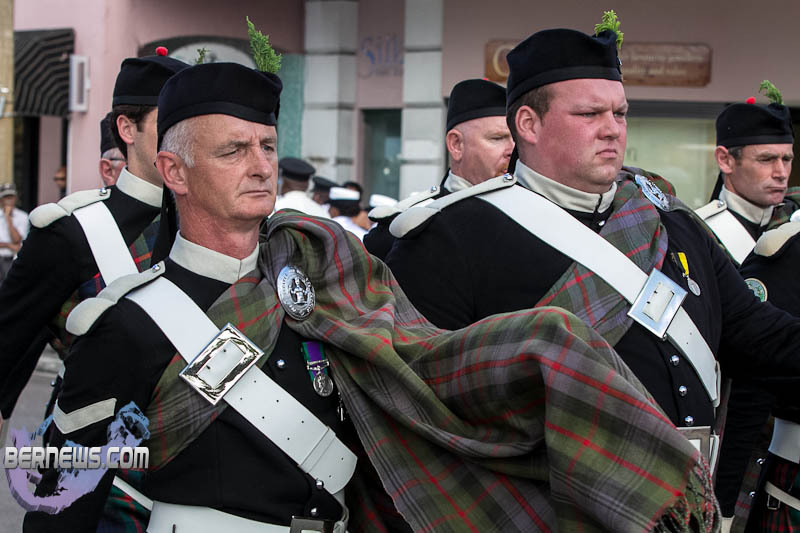 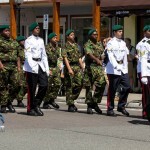 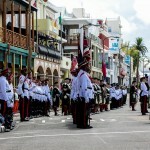 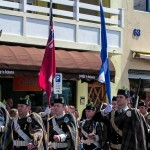 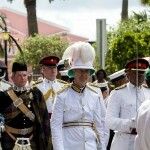 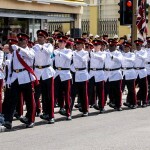 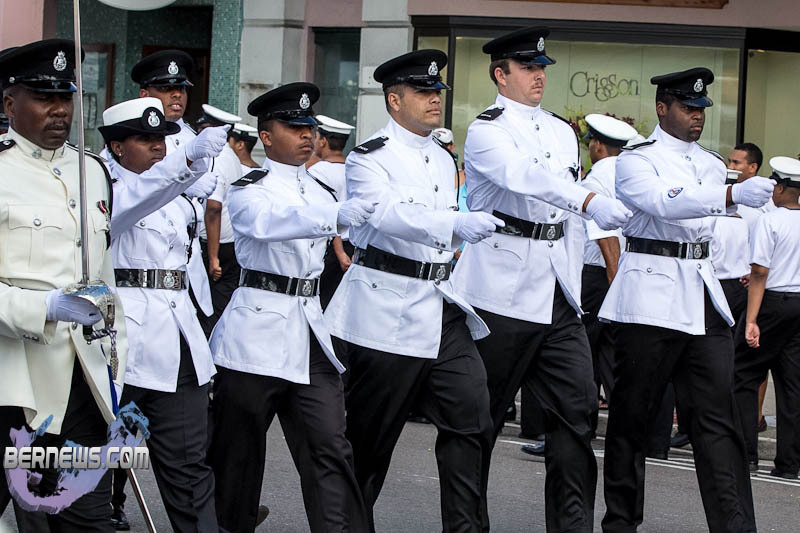 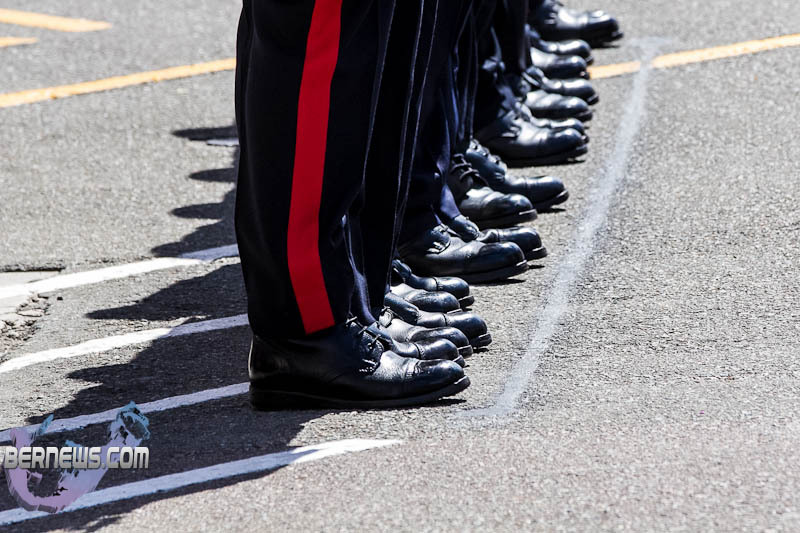 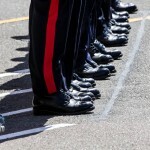 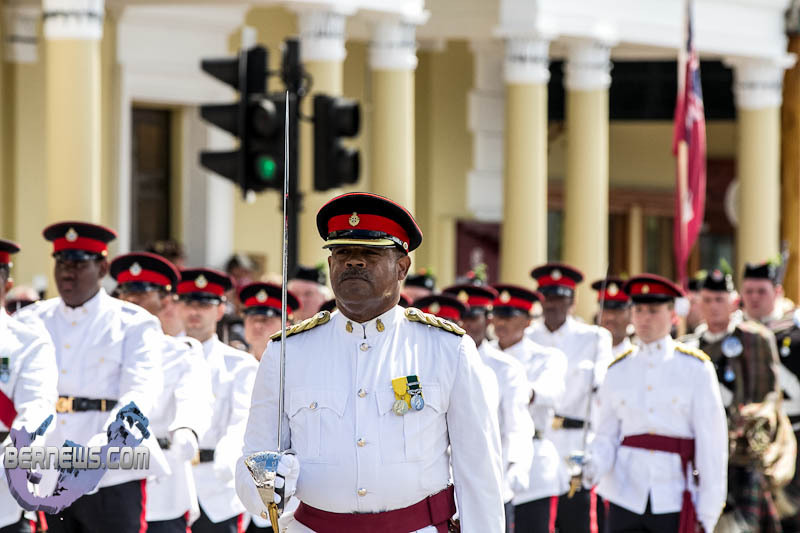 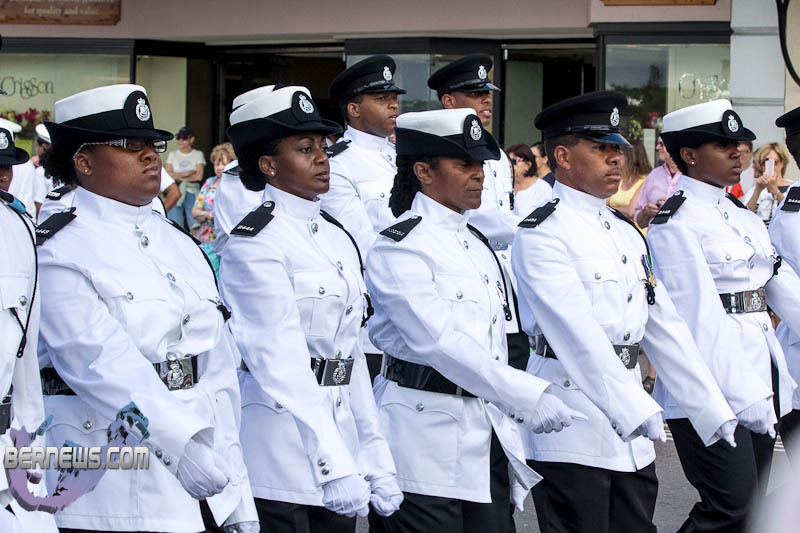 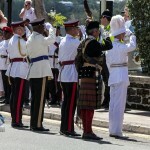 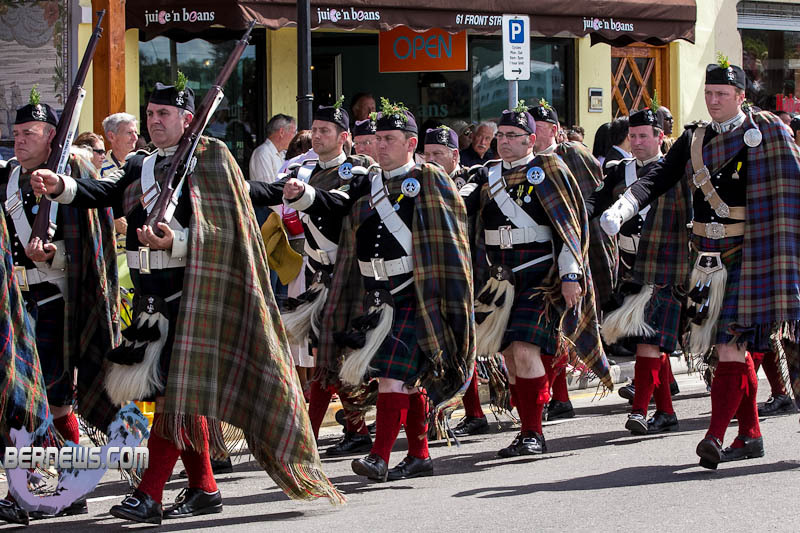 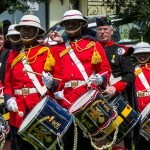 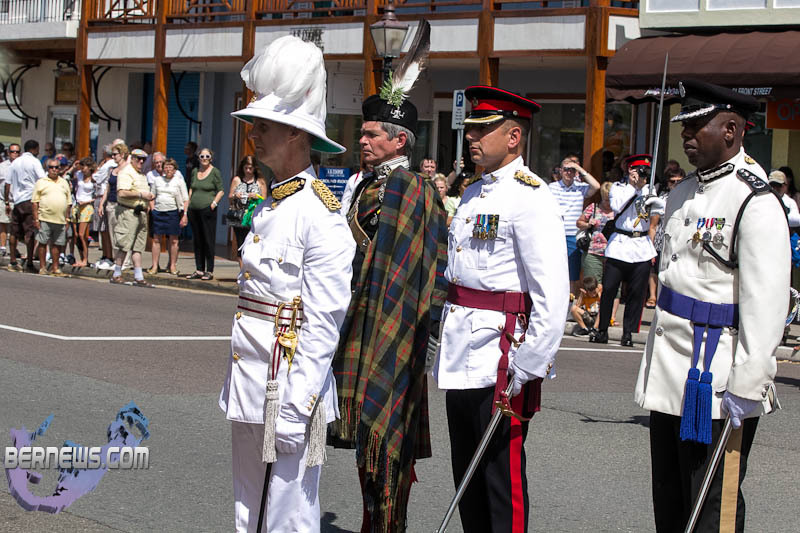 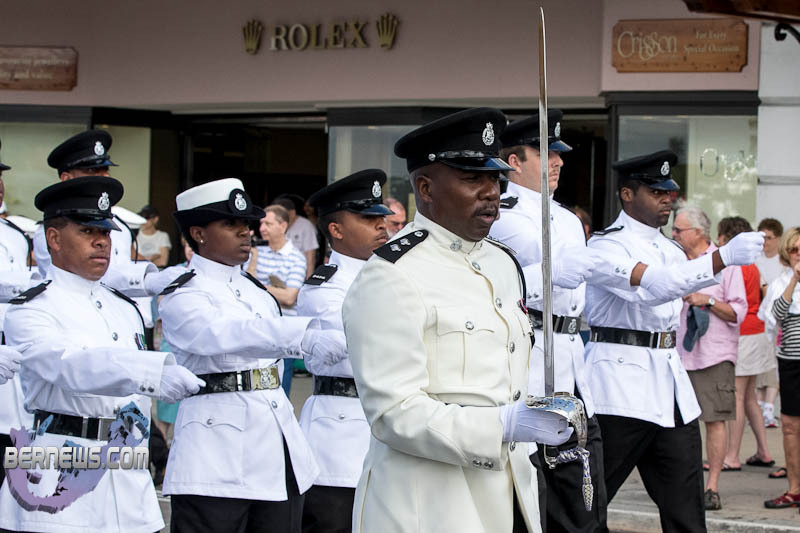 The annual Queen’s Birthday Parade took place on Front Street on Saturday [June 9], with the Bermuda Regiment, the Bermuda Police Service, the Bermuda Sea Cadets and the Bermuda Cadet Corps on parade, along with the Atholl Highlanders who are visiting from Scotland. 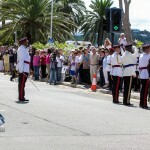 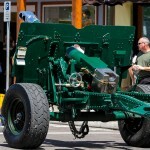 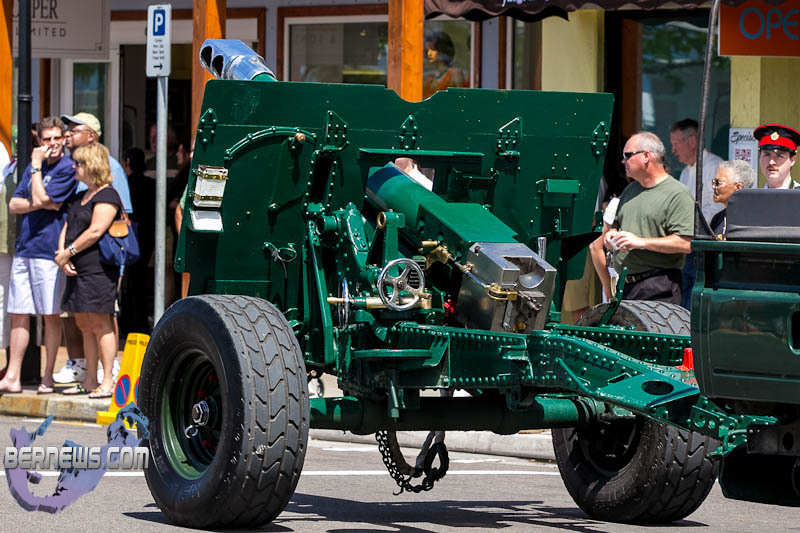 Hundreds of people lined Front Street to watch the parade, which was commanded by Major Warren Furbert. 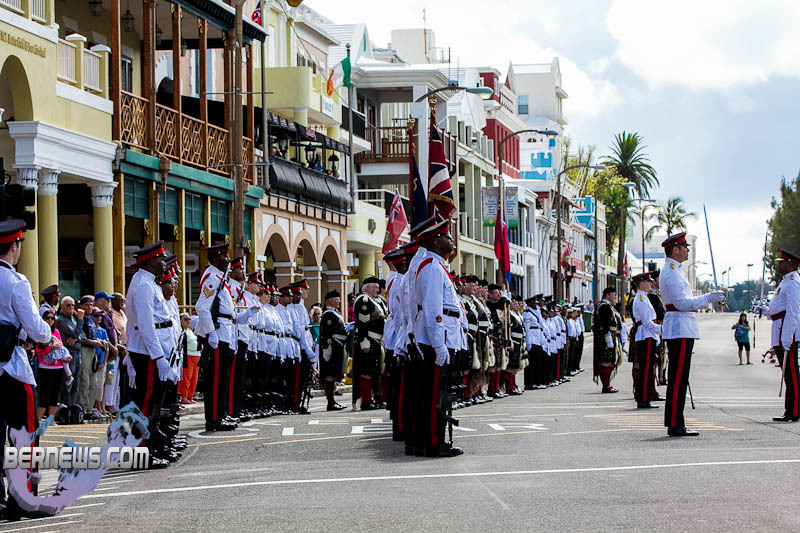 The military music was provided by the Bermuda Regiment Band and Corps of Drums and the Atholl Highlanders Corps of Pipes and Drums. 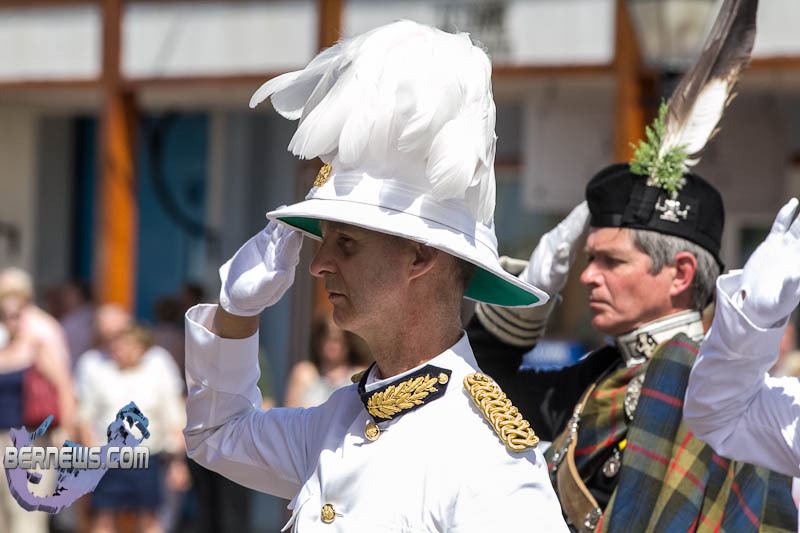 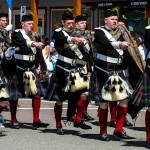 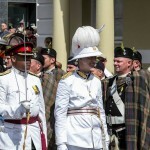 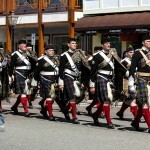 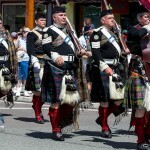 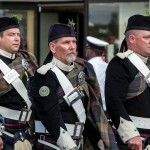 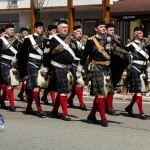 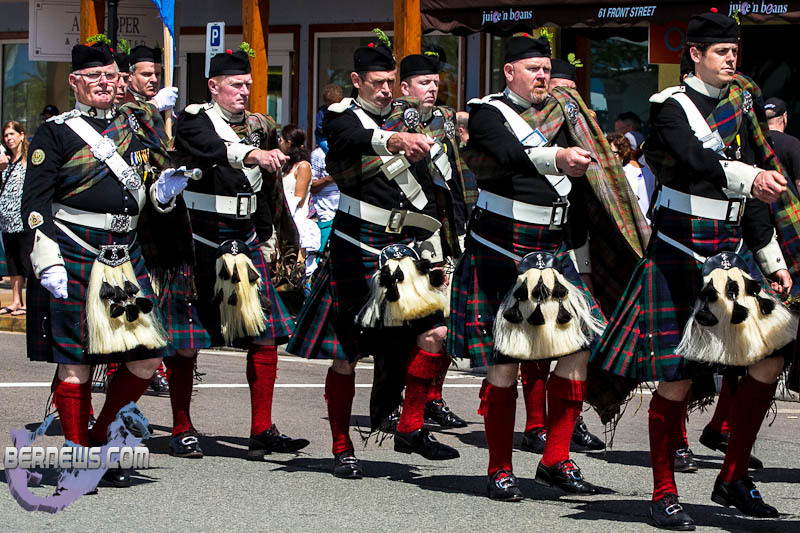 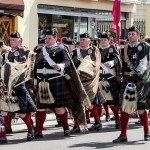 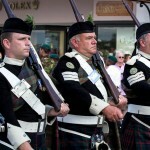 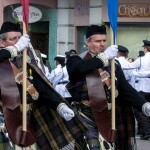 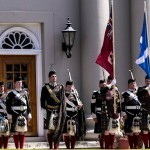 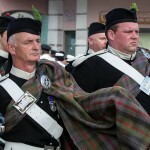 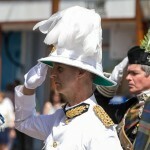 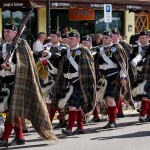 The Atholl Highlanders are under the command of the Duke of Atholl, and Europe’s only private legal army. 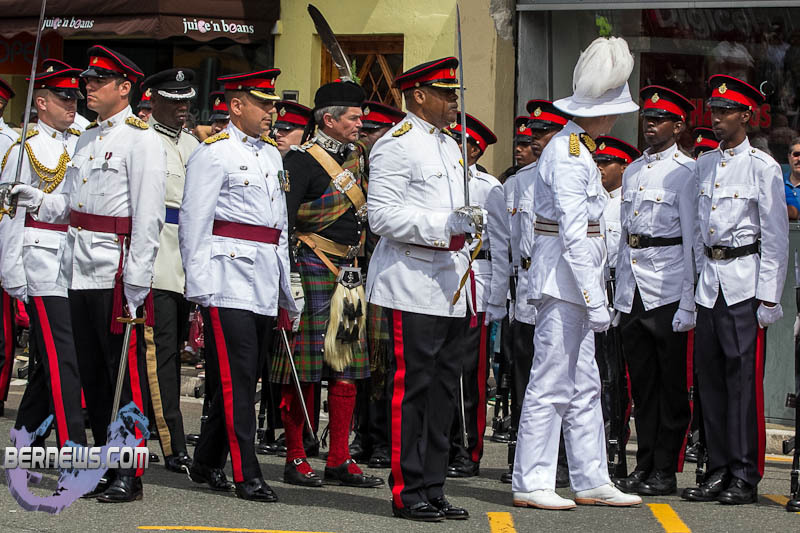 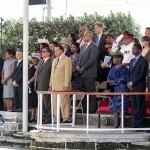 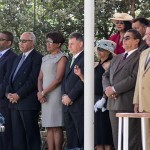 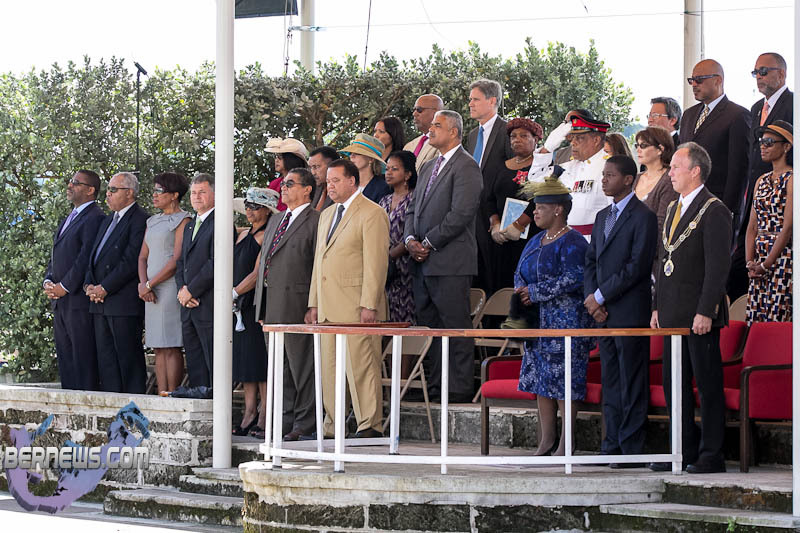 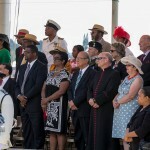 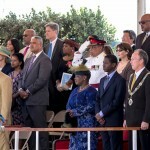 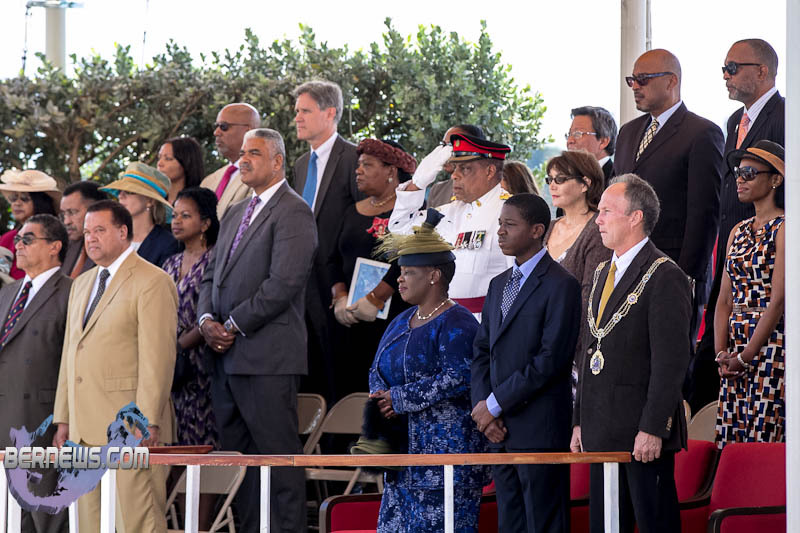 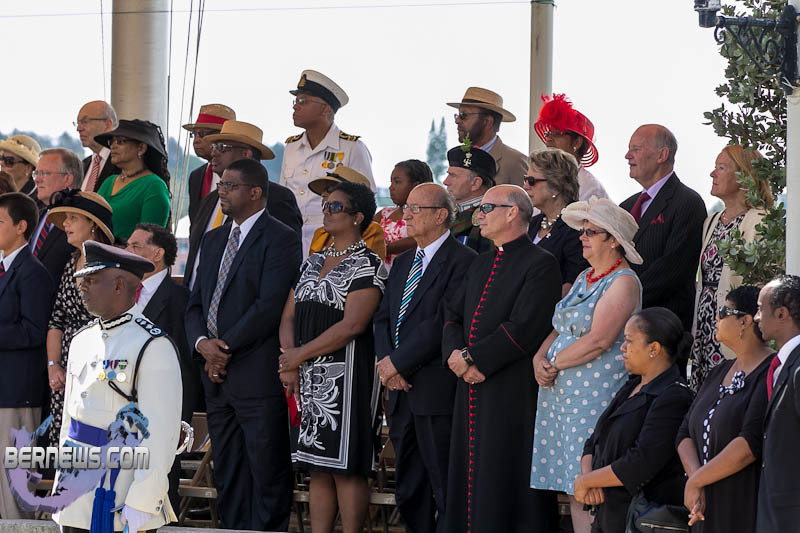 Various dignitaries attended including Governor George Fergusson, Premier Paula Cox, Opposition Leader Craig Cannonier, Mayor of Hamilton Graeme Outerbridge, Bermuda Regiment Commanding Officer Lt Col Brian Gonsalves, Deputy Police Commissioner Mike Jackman and numerous MPs. 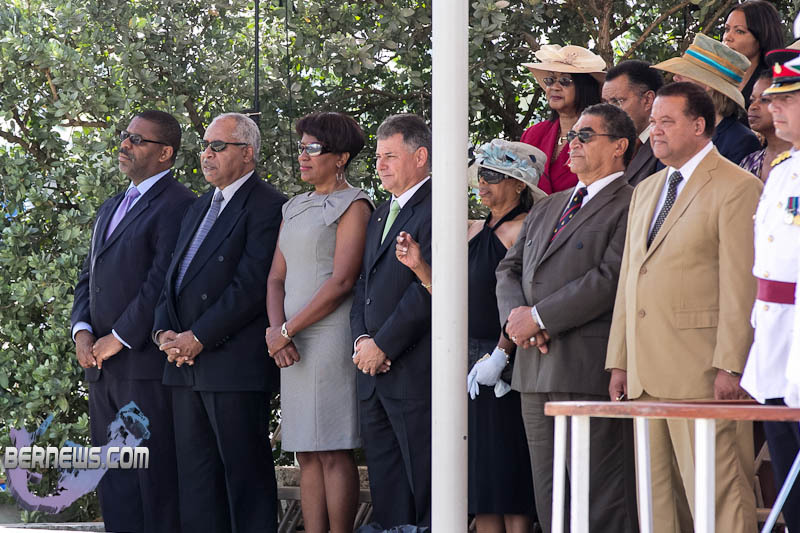 View the first set of photos here, the second set here, and videos can be viewed here.